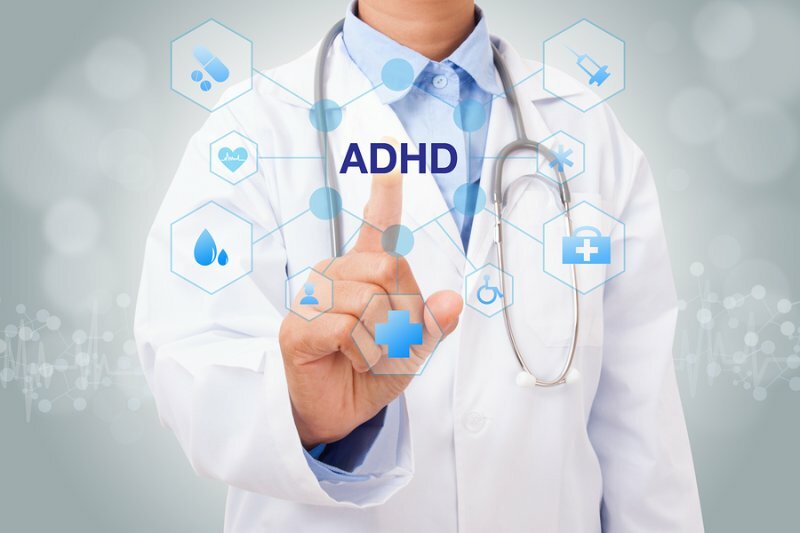 Depending on the severity of your ADHD symptoms, you may be able to use nootropics as an alternative to prescription stimulants like Adderall, Ritalin, Vyvanse and their variations. I experimented for a year by using nootropics in place of the 20 mg of Ritalin I had been using 3-times a day for several years. And for the most part, I was successful in taming my Adult ADD symptoms. 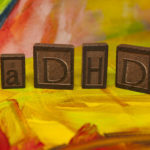 What is ADHD & ADD? The ingredients in Mind Lab Pro along with NALT and ALCAR (included in Performance Lab Energy) kept my dopamine, norepinephrine, and acetylcholine levels high enough to maintain focus, motivation and improve my memory. Vinpocetine kept my brain blood flow at optimal levels. And Aniracetam and Sulbutiamine improved my mood. But after a year I decided to go back to using 20 mg of Ritalin twice per day. Because my workload had me writing 10 hours per day. And maintaining working relationships with 2 or 3 clients at once. By adding Ritalin back to my stack I was able to reduce the time it would take to complete a project from 3 days to 1 ½ days. Proof to me that my brain couldn’t make it with nootropics alone. The beauty of continuing to use NALT and ALCAR even after I started using Ritalin again was that I avoided the stimulant “crash” that is so common late afternoon when using stimulants. And I was able to reduce the original 20 mg Ritalin 3-times per day down to only twice per day. And I have not experienced building up tolerance to Ritalin that is so common when using stimulants to treat ADD or ADHD. Your situation may be different, or ADHD symptoms not as severe. 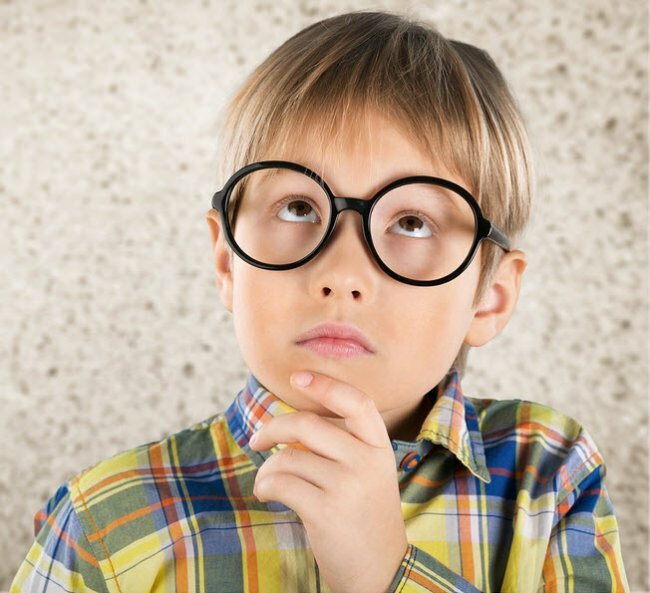 Only you can decide if nootropics can replace ADHD meds. And it comes by trial and error with different stacks And knowing as much as you can about what’s going on in your brain that needs to be fixed. This post is in response to many emails and questions I’ve been getting about how to treat Attention Deficit/Hyperactivity Disorder (ADHD) or Attention Deficit Disorder (ADD) with nootropics. So if you are dealing with ADHD, hopefully this post will help. Especially if you are using stimulants like Ritalin, Adderall or Vyvanse. Or trying to deal with ADHD naturally by avoiding prescription stimulants. This information can also help if you are a student or executive who uses prescription “smart drugs” like Adderall or Modafinil to boost productivity. Here we’ll dig into the causes of ADHD or ADD in your brain. Symptoms associated with ADHD. And what you can do using nootropics, or nootropics stacked with stimulants to correct ADHD symptoms. I’ll also include ways to potentiate the effectiveness of prescription stimulants with nootropics so they work better. If you’ve never ‘officially’ been diagnosed ADHD, but some of this resonates with you, you could be ADHD or ADD. And this may point you to some answers. I’ve been ADD all my life. (ADD is ADHD without the hyperactivity). But it wasn’t until about 12 years ago, that a very wise psychiatrist identified what was going on. And why I had been struggling with focus and other problems with behavior. That no amount of self-help books on focus and management could ever correct. Ritalin turned the lights on for me. And completely changed my life for the better. This was the seed that sprouted my interest in neuroscience and nootropics. And ultimately launching NootropicsExpert.com. Attention Deficit/Hyperactivity Disorder (ADHD) or Attention Deficit Disorder (ADD) are associated with attention and executive function in your brain. Your prefrontal cortex directs behavior, thought and feeling which are all associated with working memory. These fundamental cognitive abilities that most take for granted, are what make up executive function. If you can’t focus on the task at hand, blurt things out at inappropriate times, have little control over your emotions or actions, and can’t seem to stick to that careful set of goals you wrote down, you may be ADHD. The “inattentive” type of ADHD is related to issues with the norepinephrine, and the “hyperactive and impulsive” type of ADHD is linked to dopamine dysfunction. Much of what we read about ADHD focuses on dopamine’s function in your brain. But norepinephrine (NE) plays a critical role in activating your reaction to events. And how you respond to the event. [iii] NE is essential for collecting information coming in through your senses. And then modulating your brain’s response. This is just one example of what goes wrong in the ADHD brain. My point in bringing this all up is not to overwhelm you with neuroscience. But to make clear that simply suggesting too much or too little of a single neurotransmitter like dopamine cannot explain the complexity of ADHD. So using a nootropic like Mucuna Pruriens (L-Dopa) to amp up dopamine in your brain is often not enough to take care of ADHD symptoms. Or using Adderall with someone who has a problem with alpha2-receptor binding with norepinephrine may not get much benefit. If you are truly and clinically ADHD or ADD, it is unlikely that optimizing your diet, getting plenty of sleep, using nootropics, and exercising regularly will get the symptoms of ADHD under control. The most severe forms of ADHD often benefit from using prescription medication. Otherwise known as “smart drugs” in some circles, these meds are typically amphetamines or methylphenidate. The amphetamine-class of ADHD medications includes Adderall (75% dextroamphetamine salts and 25% levoamphetamine salts), Dextroamphetamine, and Vyvanse (Lisdexamfetamine). The methylphenidate-class of ADHD medications includes methylphenidate (Ritalin) and its variants like Concerta, and Focalin. Adderall and Ritalin both work with dopamine and norepinephrine in your brain. But through different mechanisms of action. Ritalin is a pure uptake inhibitor of dopamine and norepinephrine without any other presynaptic activity. [viii] Adderall on the other hand, has additional presynaptic activity, releasing dopamine and norepinephrine from presynaptic neurons. The idea for the last 50 years or so, has been if we could boost dopamine and norepinephrine in the brain, ADHD symptoms would go away. As long as we’re taking the medication. In an ideal world, taking one pill 2 or 3 times a day to treat ADHD would put your life back on track. And help you function like a ‘normal’ person. But real-world results often don’t work out as well as theory. For several reasons. For example, what if there’s not enough dopamine or norepinephrine in your brain in the first place? Then stimulants will not work as well as planned because they haven’t the neurotransmitters in place to work with. You could also have problems with not enough or damaged neuroreceptors. Natural aging processes can slow blood flow or inhibit the production of neurotransmitters. A lack of acetylcholine could prevent your neurotransmitters from doing what they were designed to do. This is where nootropics can help save the day in treating the symptoms of ADHD. One of main culprits contributing to ADHD symptoms is a lack of dopamine (DA) and norepinephrine (NE) in your brain. Or your brain is not using the available DA and NE effectively. Stimulants like Adderall and Ritalin work to boost levels of these two critical neurotransmitters. Norepinephrine can be further converted into epinephrine by the enzyme phenylethanolamine N-methyltransferase with SAM-e as cofactor. N-Acetyl-L-Tyrosine (NALT) – L-tyrosine is the precursor to producing dopamine in your brain. NALT enhances working memory, executive function, creative flow states, reduces stress, improves mood and is anti-anxiety. Suggested dosage of NALT for ADHD is 350- 500 mg twice per day. I successfully stack 800 mg of NALT 3-times per day. Once each time I dose with Ritalin, and a last dose mid-afternoon to prevent a stimulant crash later in the day. Mucuna Pruriens (L-Dopa) – Mucuna works as an antioxidant and heavy metal chelator, improves memory & cognition, reduces depression and boosts libido. L-Dopa is also the precursor to dopamine. Suggested dosage of Mucuna Pruriens is 250 – 500 mg per day. N-Acetyl L-Cysteine (NAC) – NAC is an amino acid that regulates the amount of glutamate and dopamine in your brain. NAC can be used to treat the symptoms of ADHD. And even helps eliminate some of the negative side effects associated with prescription ADHD stimulants. Suggested dosage of NAC is up to 600 mg 3-times per day. NADH – NADH helps increase alertness, clarity, focus, memory and enhances mood. NADH also helps stimulate the production of dopamine, norepinephrine and serotonin in your brain. Suggested dosage of NADH is 10 mg per day. Phosphatidylserine (PS) – PS can help improve alertness, attention, cognition, memory, recall and mood, and lower anxiety. All issues associated with ADHD. Phosphatidylserine is a phospholipid component of the membrane encasing every one of your brain cells. PS helps maintain the fluidity and permeability of brain cells. Improving the flow of dopamine and acetylcholine. Suggested dosage of PS is 100 mg 3-times per day. Pine Bark Extract – Pine Bark extract helps prevent decreases in dopamine and norepinephrine. And the glutathione (GSH) and GSH-disulphide reductase (GSSG-R) ratio. Neurotransmitter problems which contribute to hyperactivity in ADHD. Pine Bark extract helps boost blood flow in the brain by increasing nitric oxide which helps dilate blood vessels. And it helps with oxidative stress, membrane damage, DNA damage, inflammation, and glycation. I’ve found one of the most potent forms of Pine Bark extract comes in both Mind Lab Pro® and Performance Lab® Mind. A word of caution here in boosting the catecholamines dopamine and norepinephrine. Too much of either is not a good thing. In fact, excess levels of either will throw your neurotransmitter levels out of balance. And can cause anxiety, insomnia and panic attacks. The “H” in ADHD stands for hyperactivity. Boosting levels of dopamine and norepinephrine can help balance out hyperactivity. And help calm and focus your mind. But often simply boosting or balancing these neurotransmitters is not enough. Recent studies show that serotonin and dopamine interaction also play a role in ADHD. [ix] Serotonin is involved in the uptake, synthesis and breakdown of dopamine in your brain. Problems with serotonin seem to contribute to behavior and impulse control. Much more research needs to be done in this area of ADHD. But we can help control and balance serotonin with nootropics. 5-HTP – This amino acid is synthesized from the amino acid tryptophan. And 5-HTP is the immediate precursor to serotonin in your brain. 5-HTP can help relieve anxiety and depression, fibromyalgia, insomnia, migraines and likely the hyperactivity, depression and anxiety associated with ADHD. Suggested dosage of 5-HTP is 50 mg up to 3-times per day. Please see our dosage notes and warnings however on supplementing with 5-HTP. Ginseng – Ginseng helps calm anxiety, and boost attention, concentration and memory. Ginseng provides neuro-protective effects on the dopaminergic-pathway which can help with ADHD. And ginseng is a serotonin and norepinephrine reuptake inhibitor. Suggested dosage of Ginseng is 100 – 400 mg per day. L-Theanine – L-Theanine commonly found in green tea helps boost alpha and theta brain waves, is anti-anxiety, boosts cognition and memory and reduces insomnia. L-Theanine also helps boost GABA, serotonin and dopamine levels in your brain. Suggested dosage of L-Theanine is 250 – 500 mg per day. Rhodiola Rosea – Rhodiola helps improve alertness, energy, memory and mood, is anti-anxiety and anti-depressant, reduces fatigue and boosts cognition and concentration. Rhodiola influences serotonin and norepinephrine levels in your brain. Suggested dosage of Rhodiola extract is 150 – 200 mg per day. SAM-e – SAM-e helps in the process of cell division and repair. And the generation of dopamine, serotonin, norepinephrine and melatonin. Suggested dosage of SAM-e is 300 mg per day. Vitamin B6 (Pyridoxine) – Vitamin B6 helps your brain make serotonin, norepinephrine and melatonin. Suggested dosage of B6 is up to 100 mg per day. Vitamin B8 (Inositol) – Inositol as a nootropic can boost serotonin levels which results in feelings of calm, heightened mental energy, and easy thought flow. Suggested dosage of Inositol is from 500 – 3,000 mg per day. Vitamin B9 (Folate) – Folate (not folic acid) as a nootropic helps your brain make dopamine, epinephrine, norepinephrine and serotonin. Suggested dosage of Folate is 400 mcg per day. Take note that several of the B-Vitamin group are involved in the production of the neurotransmitters involved in ADHD. I recommend adding a good B-Vitamin Complex well above the usual RDA levels that include folate (not folic acid) and methylcobalamin (not cobalamin) to your stack. Both in a pure nootropic stack as well as when stacking with any of the ADHD prescription stimulants. But it’s not only the B-Vitamins that are required for a healthy, fully functioning brain. We also need each of the 13 vitamins and 13 minerals needed for everything from blood flow, neurotransmitter synthesis and release, brain signaling, and neuroprotection. I’ve found the easiest way to make sure my ADD brain gets all the vitamins and minerals it needs every day is to also use a multivitamin/mineral supplement. The best I’ve found so far is a new multivitamin called Performance Lab® Whole-Food Multi. It’s better than the “raw-food” multi I’ve been using for years. And makes a difference I can actually feel. But please note that this multi is in addition to a B-Vitamin Complex because the ADHD brain needs more of these critical nutrients than what is normally in any good multivitamin. Researchers at Vanderbilt University Medical Center discovered that there are three types of ADHD. We’ve already covered the “inattentive” type that is related to issues with the norepinephrine transporter gene. And the link to the dopamine transporter gene in the “hyperactive and impulsive” type. But the research team now report that a variation in the choline transporter gene is associated with a “combined” type of ADHD. Symptoms include both inattention and hyperactivity/impulsivity. Choline is required to synthesize acetylcholine (ACh) which is needed for memory, motor-control, focus, learning, concentration, and cognition. If you have the “combined” type of ADHD it’s likely due to a mutation in this choline transporter gene variation. ALCAR (Acetyl-L-Carnitine) – ALCAR donates a methyl group in the presence of Coenzyme-A for the synthesis of acetylcholine. And it’s also a shuttle transport for fatty acids through brain cell membranes. It shuttles fatty acids into mitochondria for fuel, and shuttles toxic byproducts out. Research from the Linus Pauling Institute shows ALCAR will restore mitochondrial function, replenish age-related changes to mitochondrial structure, and replenishes acetylcholine levels to your brain and body. And other studies show that ALCAR stimulates nerve growth factor. Helping support survival and growth of neurons. Which is particularly important for the ADHD brain and especially when using prescription stimulants that may be tough on neurons. Alpha Lipoic Acid (R-LA) – Alpha Lipoic Acid increases acetylcholine production by activation of choline acetyltransferase and increases glucose uptake. This process supplies more Acetyl-CoA for the production of acetylcholine. Alpha Lipoic Acid enhances insulin-stimulated glucose transport and metabolism for better brain cell performance. And R-LA provides strong antioxidant support because it helps regenerate and recycle existing antioxidants in your brain including Vitamins C & E, glutathione, and CoQ10. I’ve since switched the ALCAR supplement in my ADD stack to Performance Lab® Energy because this pre-formulated energy stack contains my preferred dose of ALCAR. But note that I also take another 800 mg of ALCAR with my NALT dose late afternoon to prevent a stimulant crash. Performance Lab® Energy also contains Alpha Lipoic Acid which helps my ADD brain produce acetylcholine. And has helped reverse the ‘insulin resistance’ my doctor diagnosed me with a year ago. CDP-Choline (Citicoline) – Citicoline helps synthesize phosphatidylcholine (PC), a major phospholipid found in brain cell membranes. And provides choline for the synthesis of acetylcholine while providing antioxidant activity. The CDP-Choline in my ADD stack is supplied by Mind Lab Pro® which is the base of my nootropic stack. But a suitable alternative to MLP is the new Performance Lab® Mind which contains the branded form of citicoline called Cognizin®. Performance Lab® Mind and Mind Lab Pro® also contain N-Acetyl-L-Tyrosine (NALT), Phosphatidylserine (PS), and Maritime Pine Bark extract. One of the issues with neurotransmitters and ADHD are damaged or non-existent receptors. Dopamine, norepinephrine and serotonin have less receptors to bind to for cognition and mood control. Once again, nootropics come to the rescue in helping control ADHD. You can add one of these nootropics to your stack to help boost receptor health. Ashwagandha – This adaptogen, Ashwagandha helps reduce anxiety and depression. And helps reconstruct axons, dendrites and synapses involved in neurotransmitter signaling in your brain. Suggested dosage of Ashwagandha extract is 250 – 500 mg per day. Bacopa Monnieri – Bacopa helps boost memory and cognition, improves mood, and reduces stress. This adaptogen affects brain levels of acetylcholine needed to help neurotransmitter signaling. And the two active components of Bacopa called bacosides A and B not only improves signaling of electrical impulses between neurons in your brain. Bacosides also help rebuild damaged neurons. Suggested dosage of Bacopa is up to 450 mg per day. Lion’s Mane – Lion’s Mane Mushroom is known for stimulating Nerve Growth Factor, improving cognition and memory, and relieving depression. Lion’s Mane stimulates the repair and creation of neurons in your brain. Neurons needed for dopamine and norepinephrine to control ADHD. Suggested dosage of Lion’s Mane Mushroom is 500 mg per day. Noopept – Noopept helps boost cognition, memory, learning, perception, logical thinking and mood. Noopept increases Nerve Growth Factor, and Brain-Derived Neurotrophic Factor (BDNF) critical for neuroplasticity and Long-Term Potentiation critical for long-term memory. Noopept also prevents the release of excess glutamate in your brain. Providing potent neuroprotection for neurons and reducing damage. Suggested dosage of Noopept is 10 – 30 mg per day. Please note that I haven’t linked through to supporting clinical studies for each of the nootropics I listed above. But you can click through to each nootropic page for extensive research supporting each supplement. ADHD and ADD is most often diagnosed in children. The latest statistics (2011) from the CDC in the USA shows about 11% of children 4 – 17 years of age (6.4 million) have been diagnosed ADHD. [x] And that’s just for the USA. 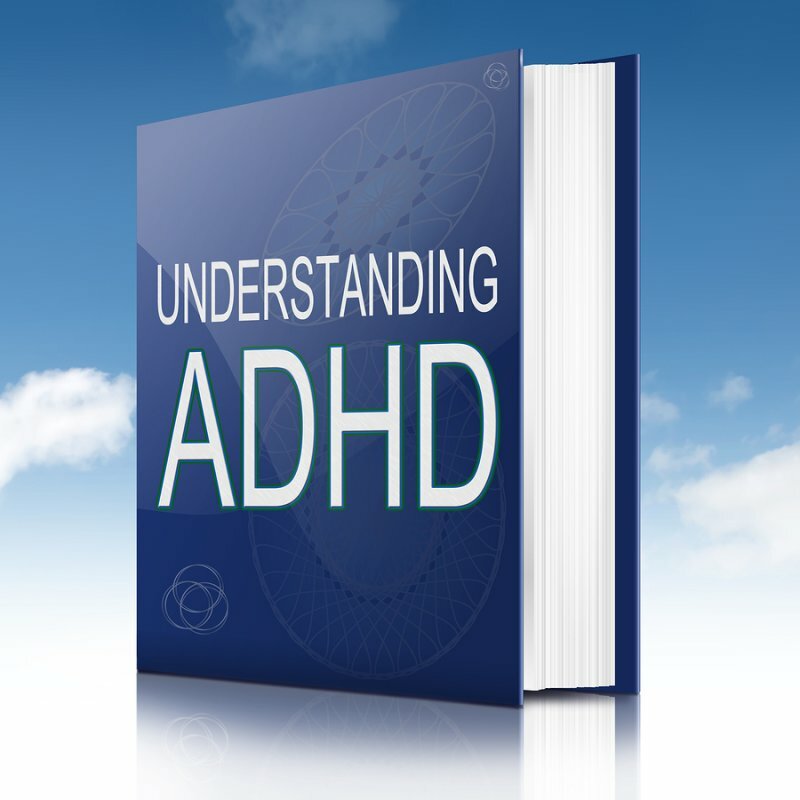 Although ADHD is usually first diagnosed in children, it often lasts into adulthood. I sometime wonder how my life would have been different if I had been declared ADD when I was a kid. But it wasn’t until the late 1960’s that the American Psychiatric Association formally recognized ADHD as a mental disorder. I wasn’t declared ADD until much later. The thing is many parents are wary about putting their children on powerful, prescription ADHD meds. Kids brains continue to develop until your early 20’s. So is it a problem messing with brain chemistry at such a young age? Only time will tell and if the benefits outweigh the costs. Hence the reason why parents are looking for ‘natural’ alternatives like nootropics to treat ADHD in children. But are nootropic supplements any safer than prescription stimulants? Common sense tells me that using NALT could be safer than Ritalin for boosting dopamine. And Rhodiola Rosea could be safer than stimulants or anti-depressants for taming hyperactivity. But many children with ADHD, natural supplements may not be enough. I’m not a doctor, and don’t even play one on TV. I’m an ordinary biohacker who has learned as much as I can to help myself. And fix my own cognitive issues. Including Adult ADD. So I strongly suggest you find and work with an open-minded psychiatrist with your child. You may be pleasantly surprised to find you may be able to reduce or eliminate prescription ADHD meds altogether. And maybe not. But the long-term health of your child could be worth the time investment to find out. I’ve been wanting to write this post since I started Nootropics Expert. If you are ADHD or ADD, I hope you found it useful. And I’d appreciate your feedback, and share your experience with treating ADHD with nootropics in the comments section of this post. Please share this post with anyone you think would benefit. Including discussions about nootropics for ADHD on reddit or Longecity. One final note. Neurotransmitter balance is key to taming ADHD. I strongly caution you to take it slow if you’re just starting out with nootropics. Carefully read each of the extended articles in the List of Nootropics you are considering trying. 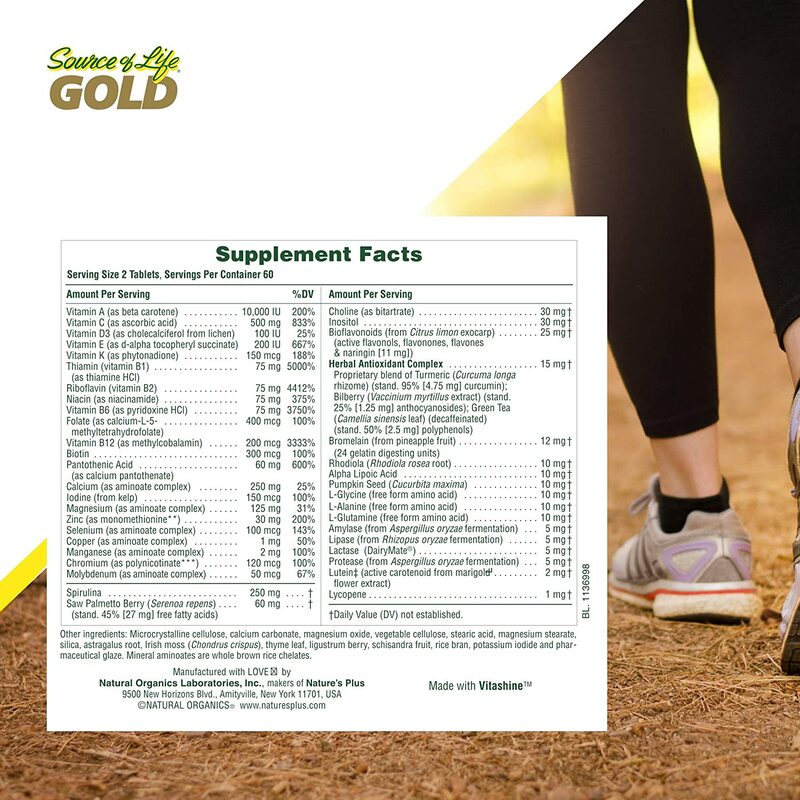 You need to be careful about side effects, prescription drug interactions, dosages and how your body reacts to each supplement. But I’m confident that with careful planning and a long-term commitment, you can be as successful as I have been in living and thriving with ADHD or ADD. So based in this article someone with ADD cannot simply use nootropics without pharmaceuticals to manage the condition. I have a very similar condition as you but I was prescribed strattera. Adderrall was too much for me as a stimulant and I couldn’t take it. The strattera hasn’t even kicked in yet and is affecting my mood. I’m much more irritated lately. I would like to try just using nootropics but from what you wrote it sounds like that won’t be enough. Any advice? Gary, I honestly did not want to leave the impression that ADD could not be managed with nootropics alone. I believe in many cases ADD and ADHD can be managed using nootropics without the use of prescription stimulants. For personal reasons I chose last year to try managing my ADD symptoms using only Mind Lab Pro, Aniracetam and Sulbutiamine. By most measures this experiment was a resounding success. But I have what many would consider a high stress line of work. I’m expected to put out a constant stream of high quality copy. Manage a company. And maintain the best relationship with my wife and family I possibly can. In most other lines of work I don’t think this would have been an issue. Intuition however told me that something was missing. And that’s when I decided to again use methylphenidate (Ritalin) daily. But at a slightly lower dose than I had been using. I’m not a doctor and cannot suggest that you do not use your prescribed meds. But I am suggesting that depending on your unique issues you may be able to manage ADD symptoms with the right combination of nootropics. If you do try this experiment, it will take at least 2 or 3 months to see if it works for you. Finally, do the research. Find out why Strattera was causing irritability. I’m guessing it was amping up your norepinephrine levels too high. That neurotransmitter may not be your issue. For example, through a lot of experimenting I found that my issue was low dopamine levels. And/or a lack of dopamine receptors or receptors not working as they should. I needed to raise dopamine and increase dopamine receptors. Which I’ve been able to do with a combination of nootropics and Ritalin. Please report back on what you decided to do and how it worked for you. These types of comments and conversations are helpful to a lot of people. I am commenting on this one because the mention of Strattera. I’m a 35 year old woman with ADHD. I was finally diagnosed when I was 26 after over a decade of severe symptoms, including recurring depression. They wondered if I had a personality disorder (!) at one point! I was prescribed Ritalin (Adderall is not available in Norway where I was diagnosed), but after 2 years of little success, and odd side effects like hyper sexuality and increased anxiety I switched to Adderall. That worked for a while, but I struggled with such intense crashes in the afternoons. I have now been on Strattera for a month, and it feels good most of the time, but I get crashes and brain fogs many afternoons, still. It doesn’t make sense to me. Is the stack you’ve outlined here safe to try while taking Strattera, and can it help with the crashes and the brain fog? Thank you so much for amazing information. I’ve just found your site and I’m all over it! Thank you! Sparkle, I designed this nootropic stack for exactly the reason you mentioned. And that is supporting the prescription ADHD meds you are using. And preventing the crash late afternoon. Please do some research and learn exactly how Strattera and the other ADHD meds work in your brain. They encourage your brain to release more dopamine. But if that dopamine is not there you get into trouble. I have been using 800 mg NALT, 800 mg of ALCAR and a tablespoon of coconut or MCT Oil about 4 pm everyday. And I do not experience a stimulant crash. Please study this post again carefully. And learn how I dose this nootropic stack throughout the day. Thousands use this stack and it works for most people. I hope it works for you too. My 7 year old son was diagnosed with ADHD. The doctor prescribed Ritalin, but in only two days of medication, he had side effects and Paradoxal effect of Ritalin, the symptoms of ADHD became worse and he became tachycardic, aggressive, depressed, anxious and with headache. Ritalin was 5 mg per day and the drug was contraindicated. He has a hard time at school, can not finish the lessons in a timely manner and has no attention to the teacher’s explanations. I wonder what nootropics I can give him and dosages. He does not use prescription medicine. Thanks. You could have success with something as simple as a high quality multivitamin, B-Complex vitamins, SAM-e, DMAE, magnesium and others. I suggest starting with the safest, natural supplements and see if that works. The move on to other nootropics as you get a better understanding of how complex this issue really is. Trial and error and patience is the only way to get to the bottom of this with your son. I Know this post is kind of old. But I was diagnosed at the age of 19. I didn’t seek treatment until 29, because managing my own company, master’s degree and family exacerbated the symptoms, including committing many careless errors that could’ve cost me my LLC’s reputation. I did multiple things before recurring to medication (lists, meditation, yoga, ADHD podcasts, and nothing). So I decided to go to a psych and was immedietly started on Vyvanze, I was initiated on a very high dose due to my bizarre hyperactivity (I am more on the hyperactivity side, but I am also inattentive and I don’t even know which one is worse), but the secondary effects were horrible, my pupils dilated, tachycardic, shaky hands, I felt like crying all the tima, I had a terrible case of anxiety (I never really knew what anxiety was until Vyvanze). I cut the dose in less than 2 weeks, because although I did concentrate, I had a hyper focus and was more hyper than ever (Family said I didn’t shut up plus I developed insomnia which I never had). I was taken off from Vyvanze and initiated on Straterra. Straterra started to work at about 6-8 weeks after initiation. I felt great!, (I was on a child dose of 18mg! Probably b/c I am thin but at some point dose should’ve been up tritated to 60mgs, slowly), however, not even 5 months into the treatment I developed a moderate hypertension that escalated quickly into a mod/severe one (ranged from 145/95 – 160/110), so I decided to call it a quit (Clinical Trials for Straterra added a box warning of hypertension and Cardiovascular events- including sudden cardiac death). I loved feeling concentrated and calm, but I am honestly not willing to put my cardiovascular health at risk at the age of 31 (I have no other co-morbidities, I exercise, meal prep, and weigh 115). I think this is one of the most complete guide/information related to ADHD I’ve ever found online, so I will soon be trying Nootropics in hopes it helps at least a little. Thanks David and Gary, I recommend having you’re B/P and pulse checked every now and then. Jessica, I followed the protocol in this post exactly as described for one full year while NOT using methylphenidate. And it worked very well. I could likely have continued to treat my Adult ADD with this protocol naturally but chose to add methylphenidate again. This stack was designed to support the use of prescription stimulants for all the reasons outlined in this post (which was updated June 2018). But works amazingly well on its own. Have you personally found a difference between adderal and Ritalin? I currently take 10mg of Adderall that is not as effective as it once was and taking more usually causes much more anxiety. I would be curious to see if Ritalin has a better effect on me. Anton, I had my doc switch me to Adderall because the Ritalin I had been using for years was no longer very effective. I tried Adderall for 6 months with no success. It was at that stage I tried going the natural route with just nootropics for a year. Adderall and Ritalin have different mechanisms of action in the brain. I won’t go into that here except to say that with Ritalin being a pure uptake inhibitor, it seemed to work better for me. And the reason I’m back on Ritalin now. With no tolerance issues because of the stack I’m using. Adderall is likely causing anxiety because it’s boosting norepinephrine too much. See if your doc will switch you to Ritalin for a trial. But be prepared to go through withdrawal from Adderall which is not pleasant. Managing ADHD successfully really is trial and error to see what works. And what doesn’t. Thank you for the reply David, this post has helped a lot. I recently started taking NALT and I notice a difference. I will also order ALCAR to add. What is your experience with NAC? Is it any different than NALT? I just recently discovered NAC and added it to my stack. And now wouldn’t do without it. Rather than repeating it here I suggest you read through these two sections near the top of each post so you can compare them side by side. The beauty of NAC is when everyone else has a cold or the flu, I seem to escape getting infected. I love Aniracetam and absolutely take it with Ritalin. The best antidepressant I’ve ever tried. One of the issues with ADD or ADHD are depression-tendencies. Likely caused by neurotransmitters being out of whack. And Aniracetam supports acetylcholine use which you’ll be increasing by using ALCAR. Hi David, how did you find out that you have ADD. Like when did it occur to you and what led you to get yourself diagnosed by a doctor. I’m thinking of getting myself diagnosed. Andrew, it never occurred to me until after the fact. My wife kinda’ ‘forced’ me to see her psychiatrist because he was a Rock Star in those circles. Within 10 minutes of our conversation, the doc told me I was ADD and PTSD. Still haven’t figured the last one out. All my adult life I’ve struggled with focus. I rose to the top of every company I’ve ever worked for. And every performance review had a common theme. I’d be able to rise higher if I could only “learn to focus”. I bought all the self-help books on learning how to focus. It was a constant theme and struggle. I didn’t know enough to realize there was something wrong with my brain. That diagnosis was a turning point in my life. Starting on Ritalin was like someone turned the lights on in my brain. And thus began my journey into neuroscience and what makes the brain work. Andrew, if you do decide to see a doc my only advice is to do your research. Find the best doctor you can. Get references if you can. Search the ADHD forums for tips on locating the right doctor. I can’t stress this enough. This is a very big deal and could affect the rest of your life. Good luck. Hello David. I am 49 years old and have ADD. I was diagnosed when I was a kid and was on Ritalin. When kids found out I was taking medicine every day at lunch at the advanced school they started teasing me about it and I started a lot of fights. Soon I asked my mom to put me back into the regular school since I did not have anything in common with the “Rich kids” from the other side of town. Later I told them I did not want to take the medicine anymore because of the teasing and fighting. I struggled all through school but when I was on Ritalin I did great in school and my parents told me I always had great grades. After graduating and going to the local college I tried Ritalin again but could not get the doses correct or something in my body changed because I gained about 20 pounds in a month and was sleepy all the time so I stopped taking it. About 5 years ago I tried again but now it was very expensive, about $300 for a month supply but I tried Ritalin, Adderall, Strattera and a couple others but nothing seemed to help with the focus and concentration so I gave up again. Last year we tried again with another medicine and it did not work and told the doctor that it is just the focus and concentration that is the issue so we decided to try Vyvance. I have a couple pills out of a month supply left but it is not helping either. I just found your youtube video and watching it and saw the link to your website and read through this page. I am hoping you have some suggestions that will help me as this is aggravating to say the least. I get distracted so easily and can lose hours in a day before I realize what I am supposed to be doing. Being self employed this is hurting my business a lot. Thank you. Chris, I feel your pain and wonder what my life would have been like if I’d been diagnosed much earlier. First, I’m not a doctor so what I suggest you try is one ADD guy to another. If Ritalin worked well for you when you were younger and no longer works, it sounds like your brain just ran out of enough dopamine for Ritalin to work with. It also could be a problem with dopamine receptors or transporters. But let’s start with the basics. As we get older, our bodies produce less of the neurotransmitters like dopamine for a number of reasons. Not enough precursors coming from food. Our body can’t convert what we do eat into dopamine and norepinephrine. And an enzyme in our brain called monoamine oxidase starts to be over expressed. Which inhibits the dopamine we do have available. So a monoamine oxidase inhibitor (MAOI) slows this process down. Without getting into more detail, one way to inhibit MAO is with a prescription drug called Selegiline (L-Deprenyl). It’s a MAO-B inhibitor and at low doses does not inhibit MAO-A. So you don’t have a problem with a thing called the “cheese effect”. I’ll let you research that one on your own. But Deprenyl is the only drug known to selectively enhance a tiny region of the brain called the substantia nigra. This place is rich in dopamine neurons. That’s where problems start that turns into Parkinson’s. Using 5 mg per day of L-Deprenyl will boost dopamine. Here’s what I would try to get you going in the right direction. Follow the stack I use which you’ll find at the top of this article while using Ritalin twice a day. See if you’re doctor will prescribe low-dose L-Derenyl. And if not, try Oat Straw. I’d also add Mucuna Pruriens (L-DOPA) > https://nootropicsexpert.com/l-dopa/. Mucuna will increase dopamine levels in your brain. Dosage instructions are in that review. I’m confident that you can turn things around Chris because I did and it saved my life. But it takes a lot of patience and determination. Because you’ll have to keep experimenting until you find what works best for you. Then, we added CBD oil to this regimen and she starting ticcing every few seconds. This has led me to believe it’s not simply a dopamine deficiency’ it’s either her dopamine receptors’ inability to receive the dopamine or just not enough dopamine receptors around. I was reading about the uridine stack. She already takes ALCAR, B vitamins and magnesium. I’m hoping DHA won’t hurt – she’s never had an RBC test, which could determine the correct Omegas to take. Should I invest in Uridine? Please help me. This is so confusing, and we are so desperate to help her. Tanya, your daughter’s reaction to CBD Oil is interesting. You could try Uridine and see if it helps. But you may want to take a look at Phosphatidylserine (PS) https://nootropicsexpert.com/phosphatidylserine-ps/ and/or L-Glutamine https://nootropicsexpert.com/l-glutamine/ first. Keyword to look for in those reviews is “Tourette’s Syndrome”. I’m NOT saying your daughter has Tourette’s. But it is a “tic disorder” and may have the same faulty mechanism of action in the brain. Take a look at PS along with DHA or an Omega-3 high in DHA. Those two work together in brain cells. Ive known ive had adhd since I was a child, but I just got diagnosed last week. i started a new medicine called mydayis at 12.5mg then if it’s not enough we will increase until we find whats right. I am not that impulsive, but I’m hyperactive and have trouble with everything else. This is a stack I came across searching the web. I have a pretty severe case. Matthew, if you are hyperactive I’d strongly suggest not using Caffeine. You want to calm your brain. Not amp-it-up. And I’m not sure what you are referring to by “nalc”. I’ve never heard of it either. Other than Noopept, the other nootropics in your stack are under-dosed. Please refer to the review for each here on Nootropic Expert for recommended doses. Do not expect much benefit if you under-dose. I highly recommend Mind Lab Pro over Alpha Brain. Especially for ADHD. You may also want to consider adding an Omega-3 supplement high in DHA. And something to increase cerebral blood flow. Try Vinpocetine or Pine Bark Extract. what do you think about it David? Giulio, if you are clinically ADD or ADHD it’s going to take more than Semax to get your brain working the way it was designed. I highly recommend that you see a doctor who specializes in ADHD first. Because this will take the guess work out of trying to figure out what’s going on with your brain. You are very fortunate to have recognized this at your age. I was well into my adult life before I was finally diagnosed Adult ADD. My first experience of using methylphenidate was like someone switched the lights on in my brain. It was life-changing. If I’d only known this when I was 17 I wonder how different my life would have been. So please don’t mess around with this on your own. Yes, nootropics can help. But you will save a lot of time and grief if you learn exactly what’s going on right now. Stimulants may be where you need to start. Psychedelics could possibly send you down a hole that it will be difficult to recover from. Or they could be the reset button you need. But it’s far too risky at this stage in your life. Especially considering you still have about 5 years of natural biological brain development ahead of you. If you insist on going it alone then I recommend using the nootropic stack described on this page. It will help you far more than what Semax is capable of. and for now i have a limited amount of money (150€) and i was thinking to buy for now the Mind Lab in sinergy with the semax because the complete stack with shipping (i’m in italy) and tax costs about 400€ for 1 month of supplements. Meantime, in 2 weeks, i’ll do the money that i need. For the Ritalin i was thinking 2x10mg a day, starting but with 1 a day and see how works for me. Giulio, I’ve found Nootropics Depot to be one of the better online vendors of nootropics. I’ve also found that there is no “best” in this business because it’s changing all the time. Reputation of vendors helps but ultimately it’s up to us to keep an eye on everything we put into our bodies. I think it’s also clear that I’m into biohacking. But when it comes to pharmaceuticals I’m even more cautious. Dosing Ritalin without the assistance of a trained medical professional is risky. So please be careful and listen closely to you what your body is telling you. Yes i know the risk and i’ll start with 1x10mg a day to see the pro and cons. of the ritalin. I want to start gradually and see how work every piece of the stack. I was thinking to continue using the Na-Semax-Amidate and buy the Mind Lab Pro, Vinpocetine with coconut oil and after 2 weeks buy the other pieces. What do you think? it could be “problems” using this stack with the semax? Giulio, I have not done enough research into Semax to advise you either way. But if you are using Ritalin, my experience is you’ll need more NALT and CDP-Choline that what’s provided in that pre-formulated stack. Each of our bodies and brains are unique and you’ll need to experiment to see what works best for you. Your stack is userful Also to improve my symptoms of depression and my adhd or i need to add something else? Brain, depends on the severity of depression. Please check out this post I wrote on depression here > https://nootropicsexpert.com/best-nootropics-for-depression/. I’ve personally found adding Rhodiola Rosea to my stack in the last couple of months helps. it’s like to think i need to pass through a sub-personality that kicks me off. For the last one, it’s “folate” and NOT folic acid. You would be a step ahead by finding a B-Complex that included higher doses of ‘folate’ with Vitamin B12 (‘methylcobalamin’). Both are the type your body naturally uses. If you decide on Aniracetam, you need to stack it with Alpha GPC or CDP-Choline. More than what is available in Mind Lab Pro. My last suggestion is along the lines of meditation which you said didn’t work for you. I have been using Centerpointe Research’s “Holosync” for the last couple of years. And found it’s made a big difference (which is difficult to explain). Please go to their website and read some of the research. It’s like meditation amped up several notches. And it works. I’m suffering of mild depression, anxiety and adhd. Andrew, I suggest finding a highly bioavailable B-Complex supplement and not including individual Vitamins B9 and B12 so you avoid any kind of toxicity. And take Vitamin C as a separate supplement. Hi David, I am impressed with your knowledge. Thank you for this post. I have ADHDH, with predominance of impulsivity, and dispersion. I also have hyperactivity when I get nervous or anxious (when I have pressure the anxiety jumps). Above all, attention is the most difficult thing for me to cope with. I was smoking cannabis everyday for 12 years (16 to 28). 1 month and a half ago I stopped completely the consumption and I am starting to run every day. I’d like to start with nootropics. 8 years ago, I spent a few months taking concerta (methylpenidate extended release) but it left me too serious, I did not laugh or express my emotions in a natural way, it made me too serious for my way of being. I would like to start with nootropics, what do you recommend? I would like to have more mental clarity, control impulsivity and be able to enjoy more things (remove anxiety?). For now I have been struck by fish oil, NALT and vitamin B, also lions mane and ashwagandha. Could you recommend something specifically? Thank you very much and sorry for my bad English. Leo, I remember a few years ago the anxiety you are referring to. It happened at the strangest times. Like when I was being questioned by someone. It was like my body, and especially my neck would ‘lock up’. It would only last for a few seconds but was extremely uncomfortable. And kinda’ scary. I haven’t experienced that symptom in years. Not since I started using nootropics. First thing I suggest is re-visiting methylphenidate. Find a doc to work with you and try the instant release kind at a lower dose. But whether you try methylphenidate again or not, I recommend trying the entire stack I outline in this post. Because it covers every symptom you describe. Change your fish oil to a high quality DHA supplement. Make sure your B-Complex vitamin is using folate and NOT folic acid. And is using methylcobalamin and NOT cyanocobalamin. I would replace lions mane and ashwagandha with Mind Lab Pro because it covers many of the brain benefits as those two nootropics. And your cost would be about the same. And one final note is make sure you are taking a therapeutic dose of each of the supplements you are using. This is often higher than the manufacturer’s recommended dose on the bottle label. Use the low end of the dosage recommended for each here on Nootropics Expert so you see how you react. Then raise the dose within acceptable limits from there. I am so glad I stumbled upon this. I am so intrigued and interested in learning as much as I can. I actually am 28, and was diagnosed with depression 4 years ago about losing a close family member. That may have been true, however, I also experienced lots of anxiety symptoms around that time. I have used Zoloft, and often got nose bleeds on that. I went off meds and tried to do with diet alone, and now back on Wellbutrin, and Adderall on 10mg. I have noticed a huge difference adding the Adderall finally. However, If I can help myself in a safer way I’d like to. I’m wondering since both of the meds I am on now interact with dopamine, would you recommend eliminating some of the examples you gave above? I do still have hypersexuality/impulsivity and procrastination which may always be an issue, I don’t know. Kelsey, my first recommendation is really dig into how exactly Wellbutrin and Adderall work in your brain. For example, Wellbutrin is a norepinephrine reuptake inhibitor. That means more norepinephrine is available in your brain. That will cause problems in excess. Especially when combined with Adderall. Do a search for “excess norepinephrine” so you understand what I mean. Also understand exactly how Adderall compares to methylphenidate (Ritalin) and how each works in your brain. You may find more success using instant release Ritalin. And maybe not. I find that my brain responds better to Ritalin than to Adderall. But each of us is unique in so many ways. So what works for me may not work for you. I would revisit using Wellbutrin. And see if you can get to where you want to go by using an ADHD med combined with the right nootropics. Hypersexuality is associated in the med literature with impulsivity. But no can agree on a specific cause or definition. As a result, the term was eliminated from the latest edition of the Diagnostic and Statistical Manual of Mental Disorders (DSM-5). It falls in the same category as other “addictions”, and the overactivity of the dopaminergic mesolimbic pathway in the brain. So we come back to dopamine again. I keep on going back to learning how each of these drugs work in your brain because that is the only way to understand which nootropic supplements will help. You are correct in that a couple of the nootropics in this stack support dopamine. But not in an excessive way. Just enough to provide the dopamine your brain needs for the stimulant meds to work without the crash at the end of the day. But using the wrong meds will make it more difficult to get your brain working relatively normally again. And harder to select the right nootropic supplements. I hope I didn’t confuse you here. The bottom-line is keep doing your research. Do not be afraid to experiment with different nootropics. The list in this post is a good starting point. But keep your dosages at low end of the recommendations. The key is continuing to experiment with meds and nootropics until you find your sweet spot. I should have clarified, I was recently diagnosed with ADHD finally hence the addition of Adderall. Hi – Thank you for sharing all of this that you are learned. Wozers. I am looking more and more into adding a supplement to my son (and possibly husbands) prescription stimulants. I have looked at length at your articles, but cannot find the answer to these questions. 1. We are looking for an afternoon booster for when my sons Focalin has worn off. For focus for homework help and not to be so emotional. I am hesitant to add an after dose as he already barely eats anything and is under weight. 2. I have noticed that you take several things multiple times a day, but then see dosages on other entries to take once a day….Can we take supplements just in the afternoon and expect them to work fairly quickly? Do they need to build up in the system or should we know quickly if working. I mean I can tell if it is, but if not do we start looking for something different after a week? Month? Marisa, Focalin is similar to methylphenidate (Ritalin) but you do not mention if you are using instant or extended release. Focalin works by making more dopamine and norepinephrine available in the brain. Which provides the benefits of impulse control and better focus. The reason why I use the nootropic stack in this post is to help Ritalin do its job by providing more dopamine and acetylcholine in the brain. I dose it throughout the day to make sure my brain has what it needs all day. I also recommend adding one more dose around 3 – 4 pm so there is no stimulant ‘crash’. The brain is not depleted prematurely of dopamine and norepinephrine by using this stack again later in the afternoon. Which allows me to keep working until I decide to quit for the day. If you follow the dosage instructions for each of the nootropics in this stack including amounts and time-of-day you’ll find that Focalin doesn’t wear off. It is possible to dose later in the afternoon only. But to get the full benefit of this stack it is better to follow the directions and dose 3 or 4 times per day. Trial and error is key to making nootropics work for you. The stack I outline in this post is a “suggestion” that works for me and lots of other people. But you may need to tweak it as you gain more experience. Please know I have looked at several of your articles: Best Nootropis of 2017-2018, Nootropics Expert List of Blog Posts and the article on ADHD. I have a question or request if you will, it is to chart the differences between ALCAR, NAC and NALT. I am a 52 year old woman who had been on Vyvance for 4 years with great success. My husband and I moved last year somewhat retired. When my PA found out I was on Vyvance, she rolled her eyes and told me she wasn’t comfortable with prescribing that, so I did some research on my own and thought I’d try a more natural approach. I bought L-Phenylalanine 500mg and also Acetyl-L-Carnitine 1000mg. This didn’t seem to do the trick so I found a new doc who would at least listen to me in why I wanted my brain back. Anyway, I was given 10mg Adderall and she raised it to 15mg. Today, I researched to see if I could still take my L-Phenylalanine 500mg and also Acetyl-L-Carnitine 1000mg along with my Adderall. That is when I found you. I too, have hypothyroidism along with ADHD. My father had Lewy-Body Alzheimer disease and so I am a bit nervous in my future. I am a visual learner so I would love to ‘see’ a chart, but if not I would love for you to email me the differences between NAC, ALCAR and NALT to possibly help both my ADHD and possibly stay or enhance memory. Thank you. ALCAR is a precursor needed to produce acetylcholine (ACh) in your brain. ACh is required for brain cell signalling. NALT is a precursor to the synthesis of dopamine. Adderall works by increasing levels of dopamine in your brain. NALT provides some of that missing dopamine in the aging brain so Adderall can do its job. NAC’s primary job is a precursor to the major antioxidant in your body glutathione. It also modulates glutamate and dopamine levels in your brain so things don’t get out of whack. The stack I describe in this post is specifically designed to support the ADHD or ADD brain. And to support whatever prescription ADHD stimulant meds a person may be using. But they are ALL required to make this stack work. Including the B-Complex vitamins. I highly recommend you learn exactly how Adderall works in your brain. Wikipedia is a good resource for these types of medications. Look for the section that says “mechanism of action”. Then learn in detail about each of these nootropics by using the information provided here. So you have a clear understanding how these supplements work. And how they may interact with the prescription medications you are using. I really appreciate this post! So much info and since I’ve got an ADD brain, I’ll need to read it through a few times to make sure I took that all in. I’m a 43 year old woman whose mom was told for repeatedly years that I “daydream too much” or “can’t keep still”, you know the usual ADHD tale of woe. I’m kinda clever so I managed stumble, bump, fall, and crash my way through college (and life so far lol) but last year after yet another semi major life failure, I decided to seek help for the ADD. It just affects every area of my life. From my ability to organize pretty much anything, to being able keep a clean house or even stay remotely on top of bills. Quite honestly, I’ve been in some ways just a walking disaster. I had some extensive psych testing and was officially diagnosed. The doc started me on a low dose of adderall (10 mg) and over the last six month that is now increased to 60 mg a day. Indeed I’m definitely better on it than off of it but in many ways I’m still a wreck. I’m also concerned about the fast that I seem to need more and more of it. Part of the issue is that I was on extended release for a few months and the doc says that for some people, XR Adderall loses effectiveness over time. I now take three 20 mg pills a day (morning, lunch, and then late afternoon). I am concerned that this will also lose effectiveness in time. Also there is this new issue of insomnia. Sleeping is very hard to come by. I can rarely get down before 3 AM and then I’m up by 6 AM – 7AM and often can’t mange a nap to make up for the loss (mind just won’t settle down). If I skip the Adderall (which I do at times so that I can mange a nap), I’m literally ALL over the place so I’m looking for an alternative to Adderall or possibly like you, something to add to the mix that will work with the Adderall and allow me to take less of it and increase it’s effectiveness. I’m getting pretty tired of failing and the psych testing also indicated that I’m of fairly high intelligence (though I’m no genius by any stretch) but certainly smart enough to have done better than I have thus far in life. The repeated failure has taken it’s toll and I do think I am struggling with some depression. On top of all of that I’m kind of an odd person and can be rather socially awkward. I’m hoping to find some help for that and the ADD with the Nootropics. Any advice that you can offer would be greatly appreciated as well. Iesha, the insomnia is very likely coming from using Adderall too late in the day. If you follow the protocol in this post including the dosage recommendations later in the afternoon, you should be able to avoid the stimulant crash. And the nootropic supplements described in this post help potentiate Adderall. Your brain starts to lose efficiency as you get older. Monoamine Oxidase builds up and prevents dopamine from doing its thing. And dopamine levels drop as you age as well. To help Adderall work you need to give your brain the dopamine and acetylcholine it needs. Otherwise, it doesn’t have the level of neurotransmitters required for Adderall to do its job. Study this post as you mentioned until you understand what you need to do. I’d also suggest learning exactly how Adderall works in your brain. That will help you tie this post and what you learn from your homework together. Oddly enough, Wikipedia is a good place to learn more about Adderall and how it works. Many thanks for the reply and excellent info David! I definitely see that just popping pills as prescribed isn’t going to get me where I need to be. Done that for a year with rather disappointing results. Very hopeful for a much better brain going forward. Thanks very much for to hard work. But I want bring u to the other part of the continent. I’m from Africa _ country Ghana_ And in here everything about what your discussion is not possible. We don’t diagnose ADD or ADHD. So many of my student decide to drop out of school because of non performance and we have taking it as normal here. I started to lose focus, concentration, depression, depression brain fog,anxiety and more over i dont even have the appettide for learning because i learn just this hour , conduct exams for me at that instant on what i just learn and i will able to produce just 15% of 50.It started when I was around 12yrs. And I will be 25 this December. I have struggle my way through life to nursing Training College and I can still see my life is falling apart. Frankly speaking, I started alcohol around 14yrs. Edible marijuana at the time. And I started smoking marijuana at the middle of 2012 after i failed my first secondary level final exams due.(WASSCE). I wrote a resist for the secondary level final exams and manage to pass through to here NTC:(NURSING TRAINING COLLEGE). My first year in NTC the struggle continues. And I’m now in my second year first semester. The news of smart drugs and nootropics started kicking in last 4 month when I felt I have had eough. I’m afraid I cnt graduate from here.so I started by asking google what to do. So many options ..4 months now I have reading from all angle of smart drugs to nootropics. Modafinil(modalert 200mg) was the right answer I got from reddit, quora, and other I cnt remembered because of my short membrane span and inability to recall. I also searched for online vendors to buy it and afinil express was the target. Now the main problem: after I waited for 1month for my modafinil and hoping to be limitless(not like NZT but something small to help me recall after learning)because that is my fav movie.. 21/02/2018 I ordered and Thanks be to God I received it unteached in my college on 22/03/2018. I was more than happy bcos the hype of it online is so great I have trusted it a lot give my system a new lifestyle. 1st day: half pill(100mg)_No result: No focused or concentration,alertness, alittle wakefulness effect.I felt like normal. 3rd day: 2tab(400mg)_wakefulness but no alertness or the other benefit. I don’t observe any of the side effect except for loss of appetite and small abdominal disturbances which I related it to the inability to eat but counteract it with smoking weed and within some minute I’m OK. What lead me ur site is MINDLABPRO which everysite visited rated #1 except few. But ur analysis and experience here kept me read over every comment( may because I’m on modafinil). But yet ur site is the one to give the analysis breakdown (smart drug n nootropics) that I need u. For saving time and typing.. My problems, taking modafinil and not been the wonder drug everyone is taking about to me. I fell like dying. I will definitely order for mindlabpro but maybe my dopamine and norepinephrine receptors may one way or the other not working properly. Ritalin could have be a better option in combination but I’m thinking of how to get it online. What should I do now. My life has been a standstill for about 15yrs now. I hope (with ur experience and knowledge) can help me fix my broken memory. I want to quite the MODA for now coz I don’t want any harm to the (disordered)memory I really on for now. I don’t expect much from smart drug or nootropics,at least if it can help me recall what I struggle to learn, I will greatful for that alone.Last but not the least (bcoz I will continue charting u on my journey of smart drugs and Nootropics),the stack up there are too many and I can just buy few. I choose Mindlabpro and *(ritalin, but cnt get it online so out)* What best two option cnt balance my mindlabpro..those u prescribe should be what I can buy online. And site that I can buy them from.. Is a shipment from Europe to Africa. And I want to quite marijuana too but cnt .. I stay off and lose appetite + insomnia. Too many problems. I need ur concerns. Day 1_half pill(100mg): I waked up at 5:20am smoke weed. (half of full roll) at 5:40am i took the pill. No effect.Not even wakefulness. Day 2_full pill(200mg)waked up at 5:40am,no smoking,pope a pill and small wakefulness and no reaction again. I mean nothing experienced apart from some acute wakefulness. Day 3 : no smoking and took in 400mg at 6:00am..Can feel the real wakefulness of it and nothing. I used to smoke in the evening around 5:00pm to help me eat and sleep as well in all the 3 days.I have stop taking it because I don’t want to cause harm to the little memory I use daily. *Can be shipped to Africa(world wide vendor). Affum, I can relate to your story because I was not diagnosed Adult ADD until well into adulthood. I sometime wonder how my life would have been different if I understood this at your age. If you’ve read my story you’ll know that I went for an entire year using the stack in this post without prescription Ritalin. And it worked very well. You should do well with Mind Lab Pro. But I cannot stress enough that if you are truly ADD you must do more. Coconut or MCT Oil, a high quality multivitamin that has all the B-Vitamins in doses similar to what is described in each of the B-Vitamin reviews I’ve done. Or take a separate B-Complex supplement that uses folate (NOT folic acid) and methylcobalamin (NOT cyanocobalamin). Your brain needs the basics like magnesium and zinc as well. And a high quality Omega-3 that has at least 1,000 mg of DHA. Do this every day for a month and you should notice a difference. But please understand that one magic pill will not make a difference. It will take a combination like described in this post and in this comment for you to experience relief. Thank you for all this beautiful material 🙂 can I ask your opinion on the burden that nootropics get to the kidneys? Alessandro,if you have perfectly healthy kidneys you should not have a problem as long as dosage instructions are followed closely. If someone is dealing with any type of kidney disease or malfunction I would recommend paying close attention to the “Side Effects” section of each nootropic review. And do additional research as well. I read noopept can function well without CDB Choline..
Will noopept fit well into the stack. Substraction or Addition and something like dosages. I read ,noopept can’t function well without cbd choline…but not (can) as stated above. Affum, Mind Lab Pro does have some CDP-Choline. But when adding Noopept to your stack I find it helpful to add extra Alpha GPC or CDP-Choline. Your brain demands the extra acetylcholine because of Noopept. I am 35 and have never been diagnosed ADD or ADHD but I know that I have one of the two. I have always had issues with focus, poor memory, poor mood and lack of motivation for certain tasks. Over the last 2-3 years, I have started researching more about ADHD when we noticed that our 1st son was having problems in 1st grade staying on task and focusing, so he was diagnosed with inattentive ADHD. I believe that I also suffer the same as he does. I have tried a couple of different things, but nothing like what you have described in this article and much of this would be very expensive for me to try at the moment. I was wondering if you know of the product Lumonol by Avanse Nutraceuticals? It contains many of the things that I have already researched, but I have seen so many mixed reviews. I just wanted to get your input on it. Also, in doing your research, what have you read about ADHD and excessive yawning? David, I just checked the label on “Lumonol” and I’ve got two problems with it. 1. the company uses a “Proprietary Formula” which I hate. It hides exactly how much of each ingredient is in their product. And 2. the doses of nearly every ingredient in that stack is too low to be of much benefit. Particularly with an ADD or ADHD brain. I recommend you do some research on what happens in the ADD and ADHD brain. And how prescription stimulants hope to help correct those deficiencies. It will give you a better understanding on what you are dealing with. Dr. Daniel Amen has done a lifetime of research into the ADHD brain. And it is his opinion (and I agree) that not all ADD or ADHD brains are alike. There is no “one size fits all” solution. And experimenting until you find your brain is working better is the only way to approach this both with you and your son. You may just want to start with the basics of the stack I’ve suggested in this post. Start with ALCAR, NALT, DHA, Coconut oil, and a high quality B-Vitamin and see how you do over a couple of weeks. Then if you can, try adding Mind Lab Pro. See the dosage recommendations on each one of the nootropics I’ve mentioned. Including detailed reviews on every one of the B-Vitamins. Because you need to get the dosage and type of each right so you can judge if they are helping you. ADD and ADHD are primarily a dopamine and brain signaling issue. If you can boost dopamine and tweak the signaling between neurons you may experience better focus, alertness, memory and even mood. I haven’t done any research on excessive yawning. Maybe not enough oxygen? Not sure but if that is the case, then a boost in blood flow may help. Vinpocetine is a champ when it comes to blood flow. Thanks for the reply. I can see that the MindLab Pro product already contains 3 of the B Vitamins and NALT, so it would still be safe to start with these and then add the MindLab Pro? Or could I just start with MindLab and see how that works for me? For my son, he is on 20MG Vyvanse and I believe it works to an extent, but mornings and evenings are brutal with him at times when the medication has worn off. I was thinking of trying something else along with Vyvanse to see if it helps. I have looked into this as well: https://vayadirect.com/assets/PI_Vayarin.pdf. David, you can do the same thing with the stack I describe in this post and get the kind of results that the PDF you link to describes. But better. You can start with Mind Lab Pro on its own and see how it works for you. But I have personally found that with a compromised brain like mine with ADD that the dosages are not high enough. The other ingredients in MLP help repair my brain. But this brain demands more dopamine and acetylcholine than can be supplied by MLP. Your son experiences a crash when Vyvanse has “worn off” because his brain is depleted of dopamine and acetylcholine. And long-term use also likely damages neurons. The nootropics that I describe in the stack on this page is designed to restore those neurotransmitters and neurons. And it helps potentiate the prescription stimulant so it works better. I use 10 mg Ritalin at 5 AM, 20 mg Ritalin at 8 AM and another 20 mg Ritalin at 11:30 AM. And by using the nootropic stack described on this page, I never experience a stimulant crash. Ever. But the dosing needs to be followed including the nootropics around 4 PM if you want to get the same results I’m getting. That is the only way to avoid a crash. I really appreciate your post and the commitment to help others! so i started lonely to use the ritalin and was fantastic! the first day i took 20mg at once in the morning (because 10mg was far to work) and was…WOW! 3) i felt very very euphoric and was really amazing! Andrea, your initial good response with Ritalin is understandable and normal. But it can’t last or be recreated. You can however help Ritalin do its job by providing your brain what it needs. I suggest researching and learning how Ritalin works in your brain. Wikipedia is a good place to start. You’ll soon learn that Ritalin boosts dopamine levels by inhibiting the reuptake of this neurotransmitter in dopamine receptors. But if you don’t have enough dopamine for Ritalin to work then you’ll get the symptoms you are experiencing now. This is the reason I created the stack described in this post because I was having the same problem. Click on the link for each nootropic in this post and learn how it works, why you need it, and how much to take. I had the same problem with Adderall. My brain prefers Ritalin as well. It’s the way our brain is uniquely wired. It’ll help if you increase dopamine levels by using NALT. And increase acetylcholine by using ALCAR. The other nootropics, vitamins and minerals described here support each of those neurotransmitters. You should experience a decrease in the negative symptoms you describe if you follow the dosage and timing instructions in this post. If budget is an issue then start with NALT, ALCAR, Vinpocetine, coconut oil and DHA and see how you feel. Add a high quality B-Vitamin complex if you can. Then add the others one at a time when you can. My son is diagnosed bipolar with adhd and generalized anxiety disorder. Also insomnia. 30 yrs old. On 60 mg Vyvanse daily and Ambien occasionally (always takes more than prescribed, so it only lasts about 8 days per month. Then he turns to drinking beer and taking 3-6 25 mg tabs of Benadryl to sleep. What I started him on: pharmepa restore pure epa omega 3 1000mg, life extension b complex vitamins, inositol, vitamin d3, magnesium and zinc. Nothing changed. I added bacopa and he shou wu. After a week he said he felt a tiny bit better. Then I read about the uridine stack. I added uridine and krill oil and took out epa omega 3. Today is day 3 and he’s just going downhill. Please tell me what I’m doing wrong! He has no motivation, very apathetic, and today woke up angry and agitated. Dianna, sounds like you are understandably overwhelmed. So let’s take this a step at at time. First, click on the “Blog” tab up top, scroll through and read each post for “social anxiety” which is the same as “anxiety”, and the post on sleep. Benadryl (Diphenhydramine) is an anticholinergic. Which means that it blocks acetylcholine in the brain. Which is a really bad idea for all kinds of reasons. Including ADHD, bipolar, anxiety and sleep. Using Bacopa to increase neural signaling will not work here because when you suppress acetylcholine, there is nothing to signal with. You should select an Omega-3 based on EPA and DHA content rather than a source like “krill”. The human brain is made up most of DHA fatty acids. So we need an Omega-3 that supplies at least 1,000 mg of DHA per day. In this case you may want to boost it to 2 – 3,000 mg of DHA per day. Nature’s Way makes a product called Mega-DHA that is about $10. And two capsules provides 1,000 mg DHA. You are on the right track with Life Extension’s B-Complex, Vitamin D, magnesium and zinc. Zinc requires 1.5 – 2 mg of copper because it suppresses copper. For inositol you want 2,000 mg of “myo-inositol” per day. 1,000 mg in the morning and 1,000 mg before bed. You may also want to try Lithium Orotate. It helps to take about 400 mg of chelated magnesium about 90 minutes before bed because it helps sleep. He shou wu is a potent MAO-B inhibitor. Which means it boosts intracellular levels of dopamine in the brain. But if the dopamine is cycled too fast, or there is not enough dopamine in the first place you’ll get things like agitation, irritability, and loss of motivation. If he is using Vyvanse, the brain is likely already starved for dopamine. An MAO-B inhibitor could make things worse. I suggest following the ADHD protocol I outline in this post. Read the other posts I mentioned and see the synergy and overlap in symptoms including anxiety and insomnia. You’re going in the right direction so continue to tweak his stack of supplements. And please re-visit the use of Benadryl. Because continued use will make anything you try that much more difficult. Thank you so much for the response! I’ve ordered everything you mentioned in your ADHD protocol. We started the nighttime protocol but it didn’t seem to help last night. I told him it would take time. My plan is to start with the Mind Lab Pro for a week and add in all the extras one at a time. I’ll let you know how it works! Thanks again for your help! I’m also reading all your blog posts. We’ve stopped the Benadryl. He’s been on your protocol for a little more than a week. Both the sleep and ADHD protocols. Sleep has not improved. I’m adding ashwagandha and P5P to his sleep protocol. He’s also very depressed again. I’ve been reading up on Tianeptine. I’m just not sure how it would interact with everything else I’m giving him. Btw, he’s taking everything in the ADHD protocol, just not the last dose. I thought that might be too much for him. But I’m no expert….that’s why I’m asking for your help once again. The last dose of my ADHD protocol (around 4 PM) is to prevent the crash that usually comes from using stimulant ADHD meds. It will take more than a week of consistently using these nootropics for things to get better. The human brain is an amazing machine and can heal. But the damaged brain takes awhile to repair itself even given the right tools. It took me nearly 3 years before I finally got back on track. Things started to get a little better within a few months. Some of that 3 years obviously came from trial and error and trying different supplements. But much of the time was what it took to heal. This takes a long-term commitment and a ton of patience. All you can do is help and support the way you are doing now. But the ‘patient’ has to be willing and determined as well. I can only imagine how difficult this must be for you as a mother. I’m married with two young “adult” step-kids so experience this myself every day. What exactly are you using for sleep? For sleep he takes 400 mg magnesium bisglycinate, 500 mg l-tryptophan from tryptopure, 1000mg myo-inositol, tart cherry juice, and added ashwaganda last night. Just got the P5p in today and was going to add that to his nighttime stack. I’m just at a loss as to why nothing is helping him sleep. I will stay away from Tianeptine but I was reading about something else called Kratom. It has helped some bipolar patients but anything that also causes insomnia scares me. It is also very addictive. Dianna, I highly approve of Kratom. Just be cautious about who you get it from. Because there has been a problem with adulteration and salmonella lately. Look up a couple of the large Kratom associations here in the USA and you may find a forum with more info on a reputable vendor. Not something you want to buy at the local gas station. And Kratom comes in various strains. Some are more stimulating than others. And some are great for sleep. Red Bali for example for sleep and antidepressant qualities. And you can’t OD on Kratom either. But it needs to be pure. I will do more research on Kratom. Do you think I need to add the P5p to the morning when he takes his other b vitamins or would it be ok at night? Because P-5-P is involved in dopamine and serotonin synthesis I’d take it in the morning. And BTW, Kratom is not “highly addictive”. The press and Big Pharma are running scared because Kratom is a threat to their profits for opiates. Certain strains of Kratom are very effective for pain. As I mentioned before, there is a problem with adulteration and Kratom. When addictive drugs are mixed with Kratom and not disclosed you have trouble. And I suppose some addicts can get addicted to anything. But there is nothing in Kratom that can cause addiction at normal doses. Anyone who tells you otherwise is lying. 1) For what reason the effect can’t be recreated? 3) it will be userful use also the Lion’s Mane Mushroom or it will be to much things in a time? do you thing it’s a good idea take 20mg only in the morning? Andrea, you get accustomed to things very quickly. It’s like the “new normal”. So what had a “wow” factor before is now commonplace. You get used to working and performing at a higher level. What you read on reddit is correct. L-Tyrosine is a precursor to dopamine. And Ritalin requires dopamine to work. The synthesis of dopamine also requires a host of vitamins and minerals in very tiny amounts. But if any one of them is missing then dopamine will not be created. And calcium channels are required for brain cell signaling. Lion’s Mane is a great addition because it helps repair damage to receptors. Including dopamine receptors that may have been damaged from the use of Ritalin. Totally confused and overwhelmed and equally desperate to help these kiddos out. Alexis, first I’m not a doctor and don’t even play one on TV. So please keep that in mind. I personally do not have specialized knowledge with children and ADHD. But someone who does and whom I respect is Dr. Daniel Amen. Please use the resources on his site for more on the different types of ADHD. One thing I’ve learned is depending on the severity of ADD and ADHD there is only so much you can do with natural nootropic supplements. For someone who is truly clinically ADHD you may need a prescription stimulant. And 10 years worth of research for myself shows that Ritalin (methylphenidate) is the safest of all of them for long-term use. And very effective. You are on the right track with the stack you are currently using. But keep in mind that dopamine works in concert with serotonin. It is easily possible to throw the balance in the direction of dopamine using supplements like L-DOPA. These must be in balance and you can help by using L-Tryptophan: https://nootropicsexpert.com/tryptophan/. 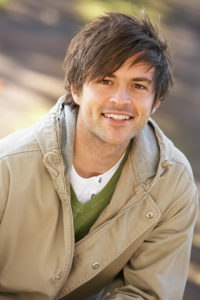 Pine Bark Extract is helpful for ADHD: https://nootropicsexpert.com/pine-bark-extract-pycnogenol/. I think you can help reduce your overwhelm by learning how stimulants like methylphenidate work in the brain. Wikipedia is a good resource for this type of research. Once you understand how something like Ritalin works you’ll have a clearer idea on what you are dealing with here. And the types of supplements that can help. Only other thing I’d suggest right now is a high quality multivitamin/mineral supplement that uses nature-identical nutrients and not synthetics. See my posts on vitamins and minerals under the “Blog” tab. And instead of just B6 and B12, try a B-Complex vitamin like Life Extension’s BioActive Complete B-Complex. Do this drugs have any side effect in long term??? Each nootropic supplement discussed in this post has live links to a full review of each. Which includes side effects. These are dietary supplements and NOT pharmaceutical drugs. See each review for the 85+ nootropics reviewed here on Nootropics Expert for side effects. Dear David thanks for amazing work. My problem is that I always forget something although I take notes and my brain is foggy. I hear, I think but I can’t do what I should do somehow, thoughts just flowing and going. I am always like that:… ” Did we talk about it? Really, hmm I don’t remember. Did we decide to do it that way? Ohh. I remember what we’ve decided before about that. Soryy, hmmm”… This ruins my marriage and my husband never understand my situation and I cannot explain. How can I? I cannot find the right words to describe what going on with me! Reading your articles I just try to understand the mechanism in my brain. I started with 36 mg concerta and the only difference I felt was ‘Hey! I can listen to people talking to me without distruction!’ and that was all. Then we moved to 54 gr. of concerta and I even lost that little difference with 36 gr. Nothing happened. Doctor said that there is nothing they can do more for me. He did not try any other medicaton or therapy. What deficiency could be in my brain ? I will try your stack described here. Any additional suggestion? Thank you very much again. Your answer is important to me. Because nobody understands me. Baris, use the stack I outline in this post for 2 -3 weeks and see if there is any improvement. Your brain needs the dopamine and acetylcholine this stack provides. Also do a search of Nootropics Expert and find supplements that support mitochondria in your cells. PQQ and CoQ10 are likely your best choices. Neurotransmitter and mitochondrial support should make a noticeable difference in what you are dealing with. Thank you very much I will try and give feed back! Dear David two weeks ago after we speak here I stopped Concerta and Selectra and started with 1600 mg. Piracetam (we don’t have Aniracetam in Turkey), 500 mg. Alcar, 500 mg. l- Tyrosine (again we don’t have acetyl l-tyrosine here), Rhodiola and a natural B complex. And Ritalin 10 mg. I tried 15-20 mg 2-3 days after starting Ritalin but i am not sure it is good for me. It’s not like turning of the lights actually for me. Also I have some pain in the eye like it did with concerta. Maybe I should try Straterra next month when see my doctor. By the way today I cut off Rhodiola and go back to Sertralin (Selectra). I felt I need to take Selectra again because I can’t cope with what I have been through nowadays especially at home. Which nootropics I can use instead of selectra? Maybe Straterra will do the work? And I plan to go 2400 mg. with piracetam. Next mont I will also add Q10 I hope. Unfortunately it is not easy to find good supplements with a good price here. I am still searching for a cholin supply. Thank you in advance. Baris, Concerta and Ritalin each work on “dopamine” in the brain. Strattera affects “norepinephrine”. So if the first two (dopamine agonists) do not work as well as you like, then you may want to try either Strattera or Adderal (norepinephrine agonists). Any of the racetams, including Piracetam will only work if taken with a choline supplement. If you are having a difficult time finding Alpha GPC or CDP-Choline (Citicoline) then see if you can find something like choline bitartrate or choline citrate. You just need to use a lot more. Strattera (norepinephrine) is not a substitute for a SSRI like Sertralin (serotonin). Please use something like Wikipedia and research the “pharmacology” or “mechanism of action” of each of these drugs until you understand how they work. And what the difference is between them. If Rhodiola didn’t work for you then try something else. You can try Bacopa Monnieri, Ginkgo Biloba, or St. John’s wort. This last one is a very, very potent natural SSRI. But please read the review and dosage instructions for St. John’s wort. And DO NOT combine it with a prescription SSRI or MAOI. You’re experience and information is extremely valuable. Thank-you!! It’s been awhile since you wrote this article. Have you changed or improve your stack since writing the original post? Have you experienced any tolerance to Aniracetam or Sulbutiamine? I’ve read that some people do especially to sulbutiamine. Angela, I personally have not experienced tolerance with either Aniracetam or Sulbutiamine. But I know others have. You can avoid tolerance by taking a two day break every week if it’s a concern. I can’t tell you how much thankful I am for your article and all the work you’ve put into it, It’s really amazing. I am dealing with a very bad “zoning out” problem which has affected every part of my life for several years now. I am 19, and I knew that I could no longer live like this if I wish to live the life I want to. I am certain of having ADD based on my researches and I would do anything to get rid of it. This zoning out problem caused me a great lack of focus and concentration in whatever activity I am doing such as communication, reading, or anything that requires focus and cognitive thinking(for life in general). I always feel tired and unmotivated to do things and I overthink everything which therefore greatly affects my ability to recall, memorize and live life based on learned experiences. I failed several of my college courses, cut off any real friendship and therefore am living inside my own head repeating useless overthinking. My brain becomes foggy whenever I am talking with someone and I can’t think of words to say. I haven’t got diagnosed of ADD yet which I’m pretty sure I have but I am really hoping to make an impact on my brain with your suggested nootropics supplements before talking to my doctor. I will try your stack and get back to you but I’d love any suggestions of more supplements to add for concentration and better memory function. Ps: Also I am currently talking two 500mg of Levetiracetam per day as a seizure(experienced twice) prevention drug. I already ordered a MindLabPro stack and looking forward to add more supplements but I’m also wondering if they will have an effect with my seizure medication. Imran, there’s nothing in Mind Lab Pro that would contribute to seizures that I can think of. Or anything else in this ADHD stack. Not sure what country you’re in but CBD Oil has been shown effective with seizure disorders. Pay particular attention to vitamins, minerals and fat like coconut oil. Most people don’t realize how critical the simplest things are to alleviate brain fog and cognition. It’s the very basics of good cerebral health. It will take a few weeks of consistent daily use of these supplements. So please let us know if and how this stack works for you. Will talking all those supplements at once per day not cause anything? Also it doesn’t matter which supplements but they all function fine together when consumed? Yes this stack was made to work in synergy for best effect. Hello David I hope you are doing ok. I stopped immediately taking sertralin after talking to you. And after 2 weeks i also stopped ritalin because it gave me a bad chest pain. Doctor prescribed me Modafinil today. Does the stack outlined here work with modafinil? By the way only cholin supply i could find in Turkey is a mixture with inositol and methionin. Unfortunately the mixture mostly composed of those two. I have to take 2 pills to grt enough cholin. And i get 1,2 gr of inositol and methionine. I know inositol is good for anxiety with this amount but what about methionine? Does it any have any advers effects you know if i use this mixture for my stack. Stay healthy. Thank you. And you know what here NAC is sold as a drug that is used to destroy the mucus in body. İt is in efervesant forms or in powder form. İt is not found as a supplement. I was able find out that after a thorough search but i finally got my NAC. Thanks Barış. Good information for our readers in Turkey. This stack should work well with Modafinil. I’m a little surprised that you can’t find a choline supplement in Turkey. Does this include things like “choline bitartrate” and “choline citrate”? Inositol and methionine are both beneficial for brain and overall health. You can raise choline levels by eating more eggs. Not sure if it’s enough. If you get a headache using this stack it means your brain needs more choline. It is cholin bitartrate. I will continue to search for a better supply. Choline bitartrate will work but you just need to take much more of it. Dear David i hope you are fine. I am continiously experimenting with my stack. Modafinil is great it really keeps me awake. I can listen to people without my brain gets foggy and distracted. But like all drugs it is said that some cannot use it everyday. My problem is that actually i need to be alert all the time. I am not like a student or working women just expected to perform at school or office. I need to be alert and in a good mental condition especially at home in the evening. Because this has become a problem with my marriage. I need something continius. Next week i will tell the doctor. And if you have any suggestion i apreciate. Besides i have this chest pain. It’s been several weeks. Limiting caffeine worked a little bit. And I am trying to eliminate each thing in my stack by removing one at a time. L-tyrosine , alcar or methionin-inositol-cholin mix. Do you have an idea which nootropic may cause chest pain? Finally last question. I think nootropil makes me sleepy. Even with modafinil. İs it possible? Maybe nootropil is not good for me? Have a good day and stay healthy. You should be able to successfully use Modafinil or other prescription stimulant with the stack described in this post. This nootropic stack was designed to support daily use of a stimulant. Or for someone who chooses to treat ADHD without the use of prescription drugs. The only thing I can think of that could cause chest pain is L-Tyrosine if you are also using a MAOI, or if your dopamine is already too high. This puts strain on your system which can result in a hypertensive crisis like chest pain or a heart attack. Hello how are you doing? :)We talked before with email.I have ADHD and it destroys my life and relationships.You advised me to take methylphenidate back then.I had some issues mainly joint pain but it has gone away due to other supplements i use.However it helps a lot.First day i took it i had the best sleep of my life and i felt a feeling as everything was taken care of,a feeling of fulfillment of sorts. Concerta and Ritalin (both methylphenidate) are not on list for causing rhabdomyolysis (https://www.ncbi.nlm.nih.gov/pmc/articles/PMC1175909/). Are you sure that’s what the underlying problem is? How were you diagnosed with rhabdomyolysis? Hello again thanks for your response:) Yes I was diagnosed in the hospital with a blood test. I had cpk levels around 30.000 (normal is around 300-500 or something) and I stayed there for a week. Nothiing special they just checked my organs withdrew the drug and hydrated me IV. I withdrew the concerta and slept for like 16 hours yesterday. I started amantadine for Adhd. Will this be enough along with the other stuff? Also another question I have is how you deal with stress from stimulants and why don’t you take the XR medication? If you take ritalin twice daily you only cover like 8 hours of the day right? How do you deal with adhd the rest of the day? I’m not a doctor and can’t comment on the efficacy of using amantadine for treating ADHD. My research shows it is prescribed as an anti-Parkinson’s medication. I found that extended release methylphenidate did not work for me as well as instant release. And I designed the nootropic stack in this post to support ADHD with and without any type of stimulant ADHD medication. Including instant release. It’s the reason for dosing ALCAR and NALT late afternoon. Thank you so much. I also suffer from ADD. As well as epilepsy. Right now I am using Genius Joy and ciltep. It helps a lot, it you have any suggestions please let me know. Joseph, the best suggestions I have for treating ADD and ADHD are the nootropics reviewed in this post. I have a prescription for Adderall (for Adhd), it helps somewhat, and I am curious if adding nootropics on top might be beneficial. — Ideally just one (or two) products for now to see if this is the route I want to go… Would you have any recommendations? This entire post answers your question. Please read it again. Hey David, thanks for all your information. I’m 33 years old and believe to have mild to moderate ADD, due to my line of work I’m unable to take prescription medication so I have to settle for natural supplements currently taking Bacopa, phosphatidylserine complex 500 mg, Acetyl-L-Carnitine 500 mg, DMAE 130 mg, fish oil . Last night I tried taking N-acetyl-L tyrosine 300mg which contained (b-6 and 400 mcg folic acid) this morning I woke up drowsy and with a sort of “hungover” feeling and headache. Do you have any recommendations on what other supplements I could take. I’m also a competitive shooter and need to be alert and focused, I’ve tried things like Ashawangda but makes me too drowsy, it appears I’m very sensitive to supplements. The one thing that has helped me focus and be in the “Zone” is Rhodiola 3/1 ratio. Ryan, you’re on the right track. I used the nootropic stack described in this post for exactly one year without using prescription stimulants. And it worked. If I was in your situation I would re-read this post so you completely understand how and why this stack works. And consider using it. And I just published a post on nootropics for eSports which applies to competitive shooting as well: https://nootropicsexpert.com/best-nootropics-for-esports-gaming/. The professional gamer I consulted with for this post in Brazil ‘Noted’ reported that this advice including a caffeine + L-Theanine combo improved his reaction time from 188 to 132. Geat !! I will look into it. i dont know why the terrible migraine thought, im actually hisitant about taking another one (NALT) . maybe the blend i took wasn’t a pure mix. it was the Source Natural brand. Ryan, not sure why either. But I think your mentioned it contained “folic acid” which is synthetic. And I recommend avoiding any supplement using this fake version of folate. I like some of Source Naturals products but they are not consistent in their quality. Thank you David ! Will try a different one. The one thing that snaps me out of my ADD and puts me in an amazing state of focus and concentratiion is pseudoephedrine. Not sure why. I’m interested in what you said about NALT and ALCAR helping with ritalin crash. Do you know how this works? Also does one of them help more than the other? I take ritalin every day and love it except for the bad crash I get at the end of the day where I feel very tired and in a bad mood. Ritalin is a dopamine reuptake inhibitor which means it forces more dopamine to remain in a usable form in your brain. But your brain only has so much dopamine daily that it can use. If you force it to use more dopamine, and especially as you older, in simple terms – you run out before the end of the day. So you crash. NALT supplies the precursor L-Tyrosine for making more dopamine. And ALCAR helps brain cell signaling and acetylcholine production which ensures efficient transport and use of that extra dopamine. Does it mean anything that someone responds better to Adderall than Ritalin besides which one to take? Excellent article! What have you found to be the best diet to support your ADHD brain? Shane, cutting out most sugar and all processed foods is a good start. Eat the ‘cleanest’ you can afford. Make sure you stay with healthy fats and avoid the bad ones. In your experience, what have you found to be the most effective macro-nutrient ratio? Shane, I haven’t figured out the best macro-nutrient ratio for cognitive health down to a percentage. But my experience is slightly higher in ‘healthy’ fats, with a little less but evenly split carb/protein. Thanks for your time. I appreciate your input. Hello David, Would you believe I am 67, and reading your info with great enthusiasm. Lori, NALT and ALCAR help potentiate or support whatever ADHD meds you are using. Some may be able to reduce the amount of medication they are using by supplementing with the nootropics suggested in this post. But it’s really up to you and how your body and brain react. I hope you’re fine and doing well. I’m quite impressed by your work in providing help and guidance on treating mental problems. Is there any link between ADHD and gut issues such as malabsorption and leaky gut? Do nootropics get easily absorbed and utilized by the body of individuals suffering from such digestive issues? Or should they be taken in larger amounts than their normal dose? I’m a 28 years old male and have been struggling with mental issues since adolescence. I have been struggling a lot with focus, concentration and attention all this time. I’ve suffered a lot in academics (lagging almost 6 years behind my school class mates) and am quite worried about my future. After coming across your website and reading your articles, it seems that there is a high chance I might be suffering from ADHD. I’ve never been to a psychiatrist yet believing that the drugs they give cause more harm than benefit. But after reading your article, now I think I should rather visit one. My main problem is with articulation. I can’t express my thoughts/ideas verbally in a smooth flow. My mind just gets stuck in between of the sentence formation and most of the time I just don’t know the appropriate word/words to complete the sentence. This applies to both written and oral communication (It’s taking me a lot of time in writing this passage). I’ve tried a lot to improve my vocabulary and do reading but still face a lot of difficulty (I think that’s just obvious because of my brain’s poor cognitive state). Is this type of condition associated with ADHD? I also have anxiety issues and a bit depression I think. I’m not sure whether it is a co-morbid condition or pure ADHD. Frank, I sometimes wonder what my life would have been like if I’d met the psychiatrist I finally got to see 12 years ago. But one thing I’ve learned is it’s pointless to say, “I should have…”. Yes, please see a professional because what you are experiencing is treatable. And yes, all of the symptoms you mentioned are associated with a form of ADHD or ADD. But you may not need to use prescription drugs to treat this. Or you may need to use them. It’s up to you and how you respond to the nootropics I investigate in this post. I’m NOT a pharmaceutical salesman and am not encouraging you to use a prescription stimulant. But to be fair, I encourage you to do your research. Ritalin (methylphenidate) for example has a 5 decade track record of being relatively safe. Others not so much. Using the nootropics in this stack however help improve that safety and safeguard your brain. Even help repair it. Last word … be very careful about choosing a doctor. It took me many years before I found one I could trust and knew what he was talking about. So get started with the nootropics on this page, and follow the recommendations while you do your search. And good luck. You can get better. In know because I did. Thank you so much Mr. David for your time and detailed response. You’re right. Finding an experienced psychiatrist in my city would be a great challenge and will take some time. I have this other question in mind. How does a person suffering from a myriad of mental issues find out the real nature of his problem i.e. whether there is an imbalance of neurotransmitters (if it is so, then specifically which one/ones are out of range and are they produced more or less) or whether his neuroreceptors are damaged or the blood flow is slow? There are various possibilities and many symptoms of depression, anxiety and ADHD are a bit common and these overlap with each other. So should one just start using the specific nootropics mention for their purposes on trial and basis or is there any special way to deal with this situation. I’m sorry but I’m quite overwhelmed. I appreciate you for your time and answer. Frank, it’s difficult and expensive to get neurotransmitter levels tested. And the tests are pretty much useless because these are blood tests. And many neurotransmitters work within neurons and other cells. There is no way to test for that. So what’s left is trial and error. For example, try L-Tryptophan to raise serotonin and see if you fee any difference. If not, then try L-Tyrosine to raise dopamine levels and see how you feel. See where I’m going with this? The same goes for GABA, acetylcholine and other neurotransmitters. The key is trying different things until you start feeling better. One thing you can assume is as you age you will have less blood flow in your brain and damaged neuroreceptors. So while you’re testing whether you have issues with dopamine vs serotonin you should be using nootropics to repair receptors (i.e. Lion’s Mane) and to increase blood flow (i.e. Vinpocetine or Pine Bark Extract). Thank you so much for your response Mr. David. I finally met a psychiatrist and discussed my issues with him. He told me that I was suffering from anxiety and OCD (actually he said I had a very anxious personality), and prescribed Zoloft (50 mg 1st week; increased to 100mg in the 2nd week both to be taken once daily) and Valium 5mg (1/2 + 1/2 daily). He said that along with medication, I’ll also have to go through CBT sessions. I have no other choice right now but to follow his advice and see how things go. It would have been great if I tried experimenting with nootropics but the problem is that I live in Asia and nootropics are not that common in the market in my country. In addition to this, there is a high chance some nootropics might be banned in my country Ordering supplements online is not feasible as the price doubles or triples when shipment + tax charges are added once they reach here. I even have some financial issues now so experimenting in my case will involve a lot of risk. I have been through the social anxiety article of yours and the advice regarding treatment was quite informative and helpful. I just wanted to know whether nootropics are capable of completely curing chronic anxiety and other similar cognitive issues or is there a need of psychotherapy to be coupled with it for a complete recovery? Frank, it’s good to hear that you are making progress. I encourage you to please learn as much about each prescription drug as you can. Wikipedia is a good source for this type of thing. For each drug scroll down to the section that says, “pharmacology” or “mechanism of action”. You can use this information to find a nootropic supplement that does that same thing. Also keep in mind that once you start on these drugs if can be very difficult to quit them. Dependence is a very serious issue and not talked about my the drug manufacturers or medical “professionals”. Most of the time you can find a nootropic supplement that works as well as the prescription drug but doesn’t have the side effects. Some can manage chronic anxiety with just nootropics. But others may need psychotherapy as well. It depends on the person and how successful you are in finding a good therapist. I am 51 and have ADD.I went on Ritalin but too many side effects and it wore off quickly. I tried( ILS ) on 8000 hrtz. INTEGRATED LISTENING SYSTEMS where the workout stimulates blood flow to the cerebellum by combining workouts that involve balance and coordination at the same time while one has earphones that vibrates.The vibrations stimulate blood flow to the cerebellum. It worked for me.People around me said that I don’t jump from one topic to another any more; but one has to do it permanently and the effects went down when I stopped. Corrective Chiro: I went to a corrective chiro and found that my neck was 27 mm off target. That means that when the neck is bend too far, the neuro signals have difficulty to pass through the spinal cord.The ganglia in the brain who regulates blood flow to the cerebellum can’t do the job and the cerebellum get too much or too little blood and ones brainwaves goes up or down.The same principle apply when a woman gets osteoporosis and the vertebrae bends. The neurosignals can’t get through to the kidneys because parts of the vertebrae disintegrates and cause the bend and influence the signals to the kidneys or liver.The doctor treats the kidneys but the problem is in the bended vertebrae.Think of a hosepipe. The more it bends the more the water struggle to get through.It worked for me. I felt that my awareness went up. I noticed that 8 out of 10 times I remembered where I put my pen.I saw scans of people with ADHD before and after 3 months of corrective chiro.The brain shows red because it is overheated due to too much blood and after 3 months the brain shows purple and blue, indicates that the blood flow is normal because the ganglia gets the neuro signals that regulates the blood to the cerebellum which is the software centre of the brain.ADD is on the increase because everybody’s necks is bend for the most part of the day due to smartphones and computers.I stopped the treatment because I am in a country now that don’t have corrective or neuro chiropractors. TMS. Trans cranial magnetic stimulation. They put pads on your head and treat the affected area in the brain with magnetic impulses.ADHD , stroke , brain damage patients benefits because it stimulates growth in the affected areas.It is very expensive as well. I saw a Russian doctor who cured autism patients by sorting out gut bacteria. Our guts give of serotonin.Vaccines and the antibiotics kills the good gut bacteria.We can also get rid of the mercury fillings. Mercury is bad for our brains and one can get stuff from a naturopath to pull out metals in the body.It is a good idea to test one self for metals in our systems.Ones cholesterol might be too high because the liver forms a protective layer in the veins to prevent you from absorbing the mercury. What would you recommend for focus, motivation , memory and impulsive behavior ? Harm, the stack I have highlighted in the top section of this post works well for focus, motivation and memory. And scroll down the the section titled, “Taming Hyperactivity” for impulsive behavior. David, have you ever encountered a supplement that didn’t mix well with your Ritalin and caused you to have any unpleasant side effects? Shane, yes I have but it’s difficult to nail down if Ritalin was the culprit. The one that comes to mind is 5-HTP. I’ve found I need a little during the day to keep dopamine and serotonin in balance. But when I first started I was using too high a dose and felt like crap and sweat a lot. Another I’ve found that does not work period is melatonin. I’m sure there may be others but nothing else comes to mind at the moment. Be interested in what your experience has been. Hey David. I was until recently taking Concerta. The only supplements I have tried while on it have been magnesium oil, zinc, Tongkat Ali, Horny Goat Weed, and ashwhaganda. I started having horrible heart palps, blurry vision, some breathing issues, and a feeling in my chest like you get when running sprints on a cold day, that cool burn sensation. I had wondered if any of those supps might have interacted badly with the Concerta, but even without taking them I was still having side effects from the Concerta. I only hope I haven’t done permanent damage to myself. I’m uneasy about trying another med. I may just go all in with the stack in your article and see how that goes. It’s a bummer, because before the side effects started Concerta was a miracle for me! Even my anxiety disappeared on it! Well, I guess the search continues. Shane, it’s likely either Tongkat Ali or Horny Goat Weed that caused these side effects. I suggest stopping those two supplements and see how you feel in a couple of days. The stack I describe in this post was designed to work specifically with a stimulant like you are using. It works for me and for thousands of others. The key to making nootropic supplements work for you is start slow and low. And be willing to try different things. But also to learn everything you possibly can about a supplement “before” you try it. And learn the exact mechanism of action of Concerta so you can anticipate interactions with other supplements. I forgot to mention that I was also using Maca powder. I wonder if this could have caused problems too? Since we last talked I’ve done a little more research and leaning that it was indeed the HGW and the Tongkat as the main culprits and not the Concerta. Luckily I was able to get squeezed to see my doc tomorrow and I will be running it all by him. Shane, Maca is acts like a MAOI which is going to affect dopamine in your brain and possibly serotonin to a lesser degree. I suggest doing a search and learn the exact mechanism of action or pharmacology for various kinds of maca. And unless you lucked out and have a great homeopathic physician as your family doc I doubt he’ll be much help in this area. Thanks David. Yeah, sounds like a definite no-no to mix with Concerta. I appreciate your time. This really piqued my interest! About six years ago after a life time of heavy caffeine use ( unaware at the time I was self medicating my adhd ) I had to quit due to heart palps and GI issues. In addition to the normal withdrawal symptoms I began almost immediately having sever panic attacks for the first time in my life. I did not know what was going on at the time. After A few weeks I couldn’t take it anymore so I started caffeine again. The panic attacks abated. But, a few weeks later the heart palps and GI issues became unbearable so I had to quit again. This time the withdrawals were 4 times as bad and the panic attacks were much worse. This continued steadily for over two years! In that time if I had a little caffeine I’d feel great but within three days an upsurge of panic attacks would hit. I’m wondering if the sudden removal of the caffeine and it’s effect on my norepinephrine system as mentioned in your article was the cause. It was like I went immediately into having all sorts of PTSD symptoms. Shane, I not a doctor or ‘medical professional’ by any stretch. But what you describe sounds like caffeine withdrawal symptoms. Is it possible for you to do tiny doses of caffeine everyday without the adverse side effects and to avoid withdrawal symptoms? I wish I could continue caffeine but I can’t unfortunately. It has been a few years since I quit caffeine. The sudden cessation of it brought on the issues I mentioned above and they lasted for a little more than two years. I certainly had the initial and more common caffeine withdrawals but I think there was something deeper going on. I’ve had many doctors take a guess at what it was. They all agree the caffeine was medicating something and all agreed that that stopping the caffeine brought on the other symptoms. But, all had different theroies about the mechanism and treatment. What you wrote in the article about a disruption in The norepinephrine system was as good or better than anything they told me. I guess it’s why they call it ‘practicing’ medicine. LoL! Shane, thanks for your feedback on this issue. And the ‘practicing medicine’ would be hilarious if it was’t so spot-on about much of mainstream healthcare. And why we’re often on our own figuring this stuff out. ,NALT ,Sulbutiamine ,Aniracetam,DHA (Omega-3) ,1 tablespoon Coconut Oil. Robert, you have the basics which will work fine as long as you follow dosage recommendations including timing. I would ad a good B-Complex supplement if you can. Life Extension’s BioActive Complete B-Complex is only about $10. David, I don’t really know how to time this to be honest I would like to ask what would you strongly recommend? And for Mind Lab Pro is it ok to dose 3 capsules in one go? Hello David I bought Berocca Performance its vitamin b complex+ Ascorbic Acid + Calcium + Magnesium + Zinc. Robert, your stack is OK but I suggest getting a better B-Complex supplement. One that contains the vitamins your body can use and not synthetic folic acid and cyanocobalamin. Same thing with the calcium, magnesium and zinc used in this supplement which are basically ground up rock. Not the type of vitamins and minerals your body and brain recognize as food. Thanks for the informative response David. I will buy another one but what ingredient should I look for and avoid in a b complex vitamins? What would be the best brand? For more on selecting the right vitamins and minerals please see my post here > https://nootropicsexpert.com/how-to-select-the-best-multivitamin-for-brain-function/. I already have the Life Extension B complex, The recommended dose is 2x daily with food but with the add/adhd stack how often do I take this capsule daily? Kyle, I use one capsule with my morning stack and one capsule with my noon stack. Hello David I want to add Ritalin on your nootropic stack for ADD/ADHD any merchants that you can recommend? Kyle, I highly recommend each of the nootropics reviewed in this post if you are dealing with ADHD. Ritalin is a controlled substance and only available by prescription from your psychiatrist. And yes, you can dose 3 capsules of Mind Lab Pro at once. Opti Nutra suggests a maximum dose of 4 capsules per day. I’ve found for best results it’s better to take 2 capsules in the morning, and then 1 or 2 capsules again at noon. I’m so glad you wrote this article. I can completely relate when you say all the self help books in the world can’t help when the problem is your brain. I’ve never been formally diagnosed but my lack of focus, inability to complete tasks, and hesitancy to make decisions tell me I have ADD. At the very least, executive function disorder. I took the Amen Clinic’s online ADD test and it said that I’m a combination of 4 types: Overfocused ADD (which I have no idea how that’s possible), Temporal Lobe ADD, Limbic ADD and Anxiety ADD. ADDitude’s online test also showed I have ADD. I’m 48, and take 50 mcg Synthroid and 5 mcg Cytomel for Hashimoto’s Thyroiditis, along with many supplements recommended/prescribed by my functional medicine doctor. I also take 5mg of Lexapro with CatecholaCalm daily for anxiety. I never realized I truly suffered from anxiety and couldn’t understand why I couldn’t be like everyone else. I freelance while I’m bootstrapping a business and the stress is unlike anything i’ve experienced. The lexapro with the CatecholaCalm helps. I totally get what you mean when you say your stack helps with the meds; mine too. I exercise and follow an AIP diet and still struggle with my ADD symptoms. I’m having trouble finding information about what ADD med I can take with having Hashimoto’s (the autoimmune version of hypothyroid). The little bit I have found suggests stimulants further deplete the thyroid. Experiencing what is like to have anxiety under control with lexapro has made me realize how much I allowed myself to needlessly suffer, and delayed the growth of my business. I’m ready to take an ADD med because I’m tired of suffering and not taking one is affecting my life and business. I recently started taking 3/4 tsp of Lions Mane daily and 350 mg of NALT 1-2x a day. The first day I was definitely focused. Now I’m not. Is there an ADD med that can be taken with my thyroid meds and Lexapro? Would I be able to use nootropics alone – if so, which nootropics would you say are absolute musts? Taking so many supplements gets expensive, and I already take a lot. Beth, if you are truly ADD then you may benefit from using a prescription stimulant like Ritalin. I am severely hypo but have it under control with NP Thyroid. And using Ritalin is no problem. But I did go an entire year with zero ADD symptoms by using the nootropic stack described in this post. If you decide to try it using just nootropics you must follow the dosage instructions and use ALL of the supplements described here. You may be able to get away with eliminating Aniracetam but the others are a must. David. Thank you so much for your reply! You have no idea how encouraged I am to know that you have hypothyroidism too and have overcome ADD. I have been doing my reading and found that a general practitioner can prescribe Strattera (is the same true for Ritalin?). In your experience, would you have your GP prescribe something or should you go to psychiatrist? I’m ecstatic to try your stack minus the racitam. Beth, please get familiar with the exact mechanism of action for each stimulant drug you are considering before seeing a doctor. Strattera for example works very differently in your brain than Ritalin. Wikipedia is generally a good place to start with this type of search. A psychiatrist should be well-versed on each of the meds to treat ADD. A general practitioner is likely not familiar. In either case I’ve found that it takes awhile until you find a doctor you can trust and that is willing to work with you on something as complicated as ADD. Hello David, I am planning to buy Ritalin through an online blackmarket to add to my stack. I already have all the basic components but I also want to add Ritalin. I am not yet diagnosed with ADD/ADHD but I have a strong feeling that I am ADD/ADHD I fully resonate with your stories. Alex, please be really cautious about what you are getting. Because there is no guarantee that the drug you are buying is pure. I personally found that I could control my Adult ADD symptoms with just the nootropics described in this post. I understand, I will try the nootropic stack first and see how I feel. I’m planning to buy performance lab whole food and energy, and rely on mind lab pro for the vinpocetine supply since its not available in nootropics depot is it fine? and if I already have the whole stack what kind of food should I eat? and how often? I dont have any idea when should I take it and when and what to eat. I can basically have all the stack listed above and also a life extension b complex added on the list. Alex, the stack suggested in the yellow highlight box above says twice or three times per day. Morning, noon, and if a third dose of something is needed that would be around 4 PM. Each of the nootropics has a link through to a complete review which includes dosages suggestions and whether it is fat or water soluble. I take my stack each time with a tablespoon of coconut oil instead of worrying about taking it with a meal with healthy fats. And Mind Lab Pro has since changed their formula and no longer use Vinpocetine. So I get mine from Amazon here in the USA. Daniel, I get most of the rest of my supplement through Amazon. Some are stocked by them and others from vendors who use Amazon as a storefront. In a pinch and when I need something fast, I get it from my local Vitamin Shoppe which is one of the major supplement retailers here in the USA. Can I add vinpocetine, b-complex(life ext),noopept on your add/adhd stack to prolong the focus? and I usually take 30-40mg of piperine and 1 tablespoon of virgin coconut oil every time I take the stacks is that alright? Robert, yes you can add those to your stack. But be careful with Piperine because you don’t want to go over the maximum daily dosage. I find your post VERY interesting! I have inattentive ADHD, not hyper, 0 motivation, (husband calls me lazy), a bit of social anxiety, and very mild depression (anti depressants make it worse). I take 20mg of Adderall XR once a day, Omega 3 (4:1 ration), B-complex (methylation) when I remember. I really want to add try nootropics along with my Adderall: NALT, Rhodiola, Mucuna, to help with the mild depression, low libido and motivation. i’m afraid of taking too many because more than likely I will forget to take them, and can be a little overwhelming. Any suggestions if that is the right stack and if they can be taken with Adderall? Shirley, the nootropic stack described in this post was designed to support those using prescription stimulants including Adderall and Ritalin. But for it be most effective dosage and timing must be following exactly. Including morning, noon and late-afternoon. Shirley, if I was “stranded on a desert island” I’d choose NALT or L-Tyrosine, ALCAR, DHA, a high quality Multi or B-Complex supplement and coconut oil. That is a fairly inexpensive stack but very effective. David, I use this stack at the moment every week with 2 days off on weekends. Is it an overdose of b complex? what might be causing it? Or this stack is supposed to be dosed with a stimulant and I should reduce my dose for each ingredient? If incase this stack is ok with you david I will stack a stimulant with it “modafinil” what do you think? Robert, if you are using Aniracetam you really should add a choline supplement to this stack. Something like Alpha GPC or CDP-Choline. See if that helps and report back please. everytime I dose aniracetam in this stack. If not enough I should definitely gonna buy A-GPC or CDP Choline Source or get it from eggs if in case how much choline a day should I need for this stack? Robert, it’s unlikely that you are getting enough from just the Citicoline in MLP if you are using Aniracetam. And there is no reliable way to tell how much choline you are getting from eggs. Aniracetam is a powerful nootropic and needs the support of an acetylcholine precursor. Depending on your individual system likely considerably more than what you’d get from MLP and/or eggs. Experiment with additional CDP-Choline or Alpha GPC and see how it works for you. Thanks David, I’ll Let you know within the coming weeks. By the way David, My modafinil is not provigil it is generic modafinil (Modalert). I have ADD along with social anxiety. I take Vyvanse and b vitamins. I don’t take many other medications or supplements. I have a bubbly personality when I’m not lethargic. Anti-depressants make me feel like crap. But I have found in social settings that alcohol relaxes me (without making me sleepy), and I am much more socialable and talkative. Is there a nootropic that would give me the same feeling with out turning to alcohol and the alcohol side effects? Kat, what you describe is typical of someone who is truly ADD. The supplements described in this post including dosages and timing of dosages should help. Sounds like your brain needs more dopamine and acetylcholine. I prey this combination is going to work for me but feel there is not enough time left. I was diagnosed with adhd and bi polar in may last year after 5 years of severe suicidal depression. I am 55 and always knew something was wrong. To top it off the day I was diagnosed my dear wife my rock in life had a mri scan for bad back and was told to immediately go to AE where they diagnosed advanced breast cancer to her spine and gave her 2y to live. At present she has now lost her ability to walk and is bed ridden at home which is not good as I’m here full time cater who cannot care care for himself. I need to get my head together very quickly as we intended to beat this cancer with natural approach but time is moving and I just get so frustrated as I am so bloody negative and cannot focus, and what really amazes me is that I have motivation which is awful considering severity of her illness. I use to be very clever and a quick learner of anything I put my mind to even though I never went to school, I self taught myself everything I know. Hi Steve, it’s not too late because with the right nootropic stack and dedication on your part things can improve relatively quickly. Fortunately, much of the trial and error has been done for you. And is reflected in this post on ADHD. The protocol outline in this post was designed to support the use of prescription stimulants. And if dosed correctly and at the recommended timing you’ll find that you’ll get extended use of Vyvanse. Thanks Dave that’s good to hear as I’ve really been suffering. I appreciate all your help just wish I saw your site sooner. I will keep you updated. Steve. Let me first say that I love what you do. You’re a level-headed fellow and I think you’re helping a lot of people. I’m currently reading the above post on ADHD. I’m 46 (soon to be 47) and well, I’ll spare you my story because it’s not pretty. Let’s just say that a psychiatrist first diagnosed with ADHD some 10 years ago. However, the diagnosis was then removed by the same practitioner and added at a later time by a neuropsychologist and then removed again by another psychiatrist. As you can see, I’ve been caught in the middle of health professional disagreements. However, I do think that I’ve had ADHD, because for someone my age, I’m clearly not where I should be in life. What I’m driving at here, is that I strongly think that ADHD has ruined my life or just short of doing so. I notice that you’ve been on methylphenidate. My question to you would be : have you experienced any moderate to severe side-effects from it ? as in : cardiovascular related issues, like ectopic beats (aka extrasystole), FA or other type of heart arrhythmias ? I’m familiar with these topics, as I’m a term away from completing a RN course. I’m asking, as I’m considering methylphenidate over dextro or other amphetamine salts like Adderral XR. FWIW, I did try Adderall XR once for a week’s time. While on it, I was calmer than usual, yet noticeably more obsessed over a number of things. My wife found me to be quite annoying while I was on it. Plus, by the end of the I’d become very aggressive – so aggressive that I thought I might get in trouble with the law. So, that was the deal breaker for me as far as Adderall was concerned. From what I’ve read, Methylphenidate is somewhat safer than amphetamines. Though, Vyvanse (dextro) is interesting because the come on and off are smooth, because of the lysine based delivery. Marc, methylphenidate has a longer track record than any of the other stimulants. And the research shows it is relatively ‘safer’ than any of the others. I do not experience side effects from it. I did try Adderall once for 6 months and switched back because it did not agree with me. Each of us is wired differently and our response to each of these meds may be different. While your team of docs is trying to make up their minds you should know that I used the above stack WITHOUT Ritalin for one year. And it worked great. Around 4 PM I take 800 mg NALT, 800 mg ALCAR and I personally find another 300 mg Alpha GPC works for me. Along with a tablespoon of unrefined coconut oil. That stack keeps dopamine and acetylcholine levels up so I don’t crash. I’m working on something that has a deadline the 7th of june. Regardless of the deadline I would definitely like to give this protocol a go. Next to ritalin. But the 7the I’m leaving on vacation for three weeks. At that time I won’t be needing my meds, nor the protocol. Can I just start anyway, take a break, and start again when I’m getting back to work? Or would that be a waste of money? Would the effects be felt the same day/week or does it take two to three months? In with case I’m maybe better off waiting to start the protocol. The ADD or ADHD is essentially ‘brain damage’. And you need to repair that damage. Once repaired, you need to maintain it. If I knew I had a June 7 deadline hanging over me and the success of that day depended on a highly functioning brain, I’d get started now.